"1:25 000 mapping had been used by the military since the First World War, and one of the recommendations of the Davidson Committee was that a national series of 1:25 000 maps should be published in a civilian edition, mainly to fill a gap in the market between 1-inch to the mile (1:63 360) and 6-inches to the mile (1:10 560) mapping." Ed Fielden. A detail study of this series was published by Roger Hellyer, A guide to the Ordnance Survey 1:25,000 First Series, Charles Close Society, 2003. A copy of Richard Oliver's 1:25 000 Second Series list, was published in Sheetlines 48, 1-33, and may be found at the Charles Close Society website. "It can be said that Ordnance Survey's lasting solution for the poor public reaction to the 1:25 000 First Series was two-fold: Firstly by creating - in 1965 - the 1:25 000 Second Series for national coverage, and secondly - seven years later - by creating a series of selective-coverage 1:25 000 sheets, based on popular tourist areas. 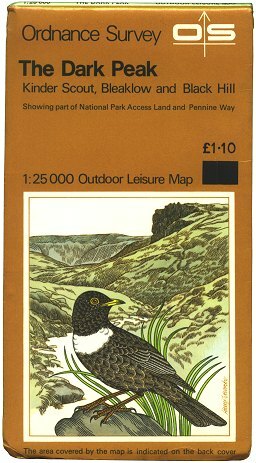 Given the scale and larger coverage area, the maps were ideally suited to countryside leisure activities - walking, cycling etc. - hence the 'Outdoor Leisure' moniker. Another benefit of the new series was that it appeased those sections of the public who demanded larger 1:25 000 sheets." Ed Fielden. First Series: partially revised 1938-71: A ( /72); A/ ( /73); A//* (5/77); A//*/* (5/80). [Extended:] surveyed 1959-79: B (2/84); B/ ( / ); B//* (5/87); B2 ( / ); B3 (4/91); B4 (4/93). Replaced by Explorer sheet OL1 (3/02). [Sheet 2] The Three Peaks First Series: partially revised 1938-72: A (5/73); A/* (12/78); A/*/* (2/83). [Extended:] surveyed 1969-79: B (5/85); B/ ( / ); B//* (6/88); B2 (5/90); B3 (11/94). Replaced by Explorer sheet OL2 (3/02). [Sheet 3] High Tops of the Cairngorms Second Series: surveyed 1967-71: A (6/74); A/* (8/78); A/*/* (5/82); A/*/*/* (2/88); A4 (7/90); A5 (8/92). [Extended]: revised : A (1/97); A/ (2/99). [Extended:] Partially revised 1938-73: A (10/74); A/* (3/76); A/*/* (3/79). surveyed 1957-77: B (4/82); B/ ( / ); B// ( / ); B///* (1/88); B2 ( /89); B3 (7/95). Replaced by Explorer sheet OL4 (3/02). [Extended:] partially revised 1938-73: A (10/74); A/* (3/76); A/*/* (5/79). surveyed 1967-77: B (4/82); B/* (7/86); B/*/* (3/88); B3 (8/89); B4 (8/95). Replaced by Explorer sheet OL5 (3/02). [Extended:] partially revised 1938-73: A (10/74); A/ ( /74); A//* (3/79); A//*/ ( /80). surveyed 1961-77: B (4/82); B/ ( / ); B// ( / ); B///* (7/87); B2 (2/89). Replaced by Explorer sheet OL6 (3/02). [Extended:] partially revised 1938-73: A (10/74); A/ ( /74); A//* (6/79). Replaced by Explorer sheet OL7 (3/02). [Extended:] surveyed 1969-71: A (9/75). surveyed 1964-71: B (3/87); B1 (1/95). [Sheet 9] Brighton and the Sussex Vale Second Series: surveyed 1909-57: A (6/75); A/* (5/81). Sheet 9 Exmoor Second Series: surveyed 1955-91: A (3/93); A1 (8/95). Replaced by Explorer sheet OL9 (3/02). [Extended:] partially revised: 1938-72: A (1/76); A/* (8/78). [on new sheet lines ] surveyed 1964-78: B (7/85); B/ ( / ); B//* (5/88); B2 (8/89), B3 (5/93). Replaced by sheet 2 (south) in 1997. Second Series: partially revised 1938-75: A (9/76); A/* (11/81). surveyed 1955-80: B (11/86); B1 (7/88); B2 (2/91). Replaced by extended sheet 12. Second Series: partially revised 1938-77: A (9/76). surveyed 1958-80: B (11/86); B1 ( /86); B2 (12/91). Sheet 12 Brecon Beacons - Western & Central area [Extended:] revised : A (7/96). Replaced by Explorer sheet OL12 (3/02). [Extended:] partially revised 1938-75: A (7/76). surveyed 1958-81: B (3/87); B1 (7/88); B2 (12/90); B3 (3/93). Replaced by Explorer sheet OL13 (3/02). [Extended:] partially revised 1938-76: A (3/77); A/ ( / ); A//* (5/81); A//*/* (3/83). surveyed 1957-80: B (4/86); B/* (2/88); B2 (2/92); B3 (1/94). Replaced by Explorer sheet OL14 (3/02). [Extended:] surveyed 1944-75: A (7/77); A/* (7/81); A/*/* (5/85); A3 (3/89). revised 1993: A (1/94); A1 (7/96); A2 (8/99). Replaced by Explorer sheet OL15 (3/02). Sheet 16 Snowdonia - Conwy Valley area First Series: partially revised 1936-76: A (7/77). revised : B ( / ). Sheet 16 The Cheviot Hills Second Series: revised : A (10/95). Replaced by Explorer sheet OL16 (3/02). Second Series: partially revised 1938-76: A (7/77); A/* (5/82). surveyed 1956-90: A ( /92), A1 (1/96). Replaced by Explorer sheet OL17 (3/02). Second Series: partially revised 1938-77: A (6/78); A/ ( / ); A//* (2/83). surveyed 1969-71: B (9/85); B/ ( / ); B1 ( / ); B2 (12/93). Replaced by Explorer sheet OL18 (3/02). Sheet 19 Snowdonia - Harlech First Series: partially revised 1938-77: A (6/78); A/ ; A//* ( /82). Replaced in Second Series by OLM sheet 18. Sheet 19 Howgill Fells - Upper Eden Valley Second Series: revised : A (11/95). Replaced by Explorer sheet OL19 (3/02). [Extended:] surveyed 1909-76: A (6/78); A/* (10/83); A/*/* (12/86). Replaced by Explorer sheet OL20 (3/02). [Extended:] partially revised 1936-77: A (8/78); A/* ( /78). surveyed 1956-79: B (6/84); B1 (3/94). revised : A (4/95); A1 (12/96). Replaced by Explorer sheet OL21 (3/02). [Extended:] surveyed 1944-75: A (3/79); A/* (9/81); A/*/* (8/82); A/*/*/* (3/83); A/*/*/*/* (9/84); A/*/*/*/*/* (10/86); A6 (10/88); A7 ( /90); A8 ( /92). Replaced by Explorer sheet OL22 (3/02). Second Series partially revised 1938-78: A (6/79); A/* (7/83). surveyed 1968-71: B (1/87); B1 ( / ); B2 (5/93). Replaced by Explorer sheet OL23 (3/02). The Peak District - White Peak area Second Series: surveyed 1950-76: A ( /80);A/* ( / ); A/*/ ( / ); A/*//* ( /87); A3 ( /89); A4 ( /90); A5 ( / ). revised 1994: A6 (7/94); A6/ (1/99). Replaced by Explorer sheet OL24 (3/02). Sheet 25 Isles of Scilly Second Series: surveyed 1978: A (3/82); A1 ( /88); A2 (11/91); A3 (3/94). Replaced by Explorer sheet OL25 (3/02). surveyed 1952-80: A (3/83), A/ ( / ); A//* (11/87); A3 (8/95). Replaced by Explorer sheet OL26 (3/02). Sheet 27 North York Moors - East Second Series: surveyed 1963-78: A (3/83); A/* (8/86); A2 (5/93). Replaced by Explorer sheet OL27 (3/02). Sheet 28 Dartmoor Second Series: surveyed 1904-80: A (4/84); A/ ( / ); A// ( /86); A1 ( / ); A2 (3/94); A3 (11/95); A3/ (8/96); A4 (3/01). Replaced by Explorer sheet OL28 (3/02). [Extended:] surveyed 1958-79: A (4/85), A1 (9/88); A2 (5/90); A3 (10/92); A4 (12/96). Replaced by Explorer sheet OL29 (3/02). [Extended:] surveyed 1971-79: A (6/85); A/ ( / ); A//* (4/88); A2 ( / ); A3 ( /91). Replaced by Explorer sheet OL30 (3/02). [Extended:] surveyed 1969-79: A (3/87); A1 ( /89); A2 ( /92). Replaced by Explorer sheet OL31 (3/02). Mountainmaster of Ben Nevis Second Series: surveyed 1964-74: A (3/89); A1 (7/90); A2 (4/92). Sheet 32 Galloway Forest Park Second Series: revised : A (3/97). Replaced by Explorer sheets 318 and 319 (2/02). [Extended:] revised : A (2/94). Sheet 35 North Pembrokeshire Second Series: revised : A (11/95). Replaced by Explorer sheet OL35 (3/02). Sheet 36 South Pembrokeshire Second Series: revised : A (11/95). Replaced by Explorer sheet OL36 (3/02). Sheet 37 Isle of Arran Second Series: revised : A (8/95). Replaced by Explorer sheet 361 (3/02). Sheet 38 Ben Nevis and Glen Coe Second Series: revised : A (5/96). Replaced by Explorer sheets 361 and 384 (3/02). Sheet 39 Loch Lomond Second Series: revised : A (8/96). Replaced by Explorer sheets 347 and 364 (3/02). Sheet 40 The Broads Second Series: revised : A (7/96). Replaced by Explorer sheet OL40 (3/02). Sheet 41 Forest of Bowland and Ribbledale Second Series: revised : A (11/96). Replaced by Explorer sheet OL41 (3/02). [replaces Explorer sheet 1] Second Series: revised : A (6/97). Replaced by Explorer sheet OL42 (3/02). Sheet 43 Hadrian's Wall Second Series: revised : A (6/97). Replaced by Explorer sheet OL43 (3/02). Sheet 44 Tweed Valley Second Series: revised 1997: A (9/97). Replaced by Explorer sheets 337 and 338 (3/02). Sheet 45 The Cotswolds Second Series: revised 1997: A (2/98). Replaced by Explorer sheet OL45 (3/02). Sheet titles are from Leisure map catalogue v1.8 and later. Compilation dates have been derived from the maps themselves. Other dates are: where given in round brackets, in the style '(2/76)', the month and year of publication, as noted in the official publication reports; where given in square brackets, e.g. '[2/80]', the month and year of printing, as deduced from other fairly certain information. The '$' symbol denotes a facsimile reprint following sheet renumbering or other format change. Open Access editions are marked by a '§' symbol. The initial Explorer sheets 1-31 of the series replaced the Outdoor Leisure Maps (see above). They were later named the 'OL' map, after the two letter prefix given to each sheet, in March 2002. Outdoor Leisure Map sheet numbers 3, 8, 10, 11, 25, 32, 33, 34, 37, 38, 39, 44 were not used for these original Explorer maps. 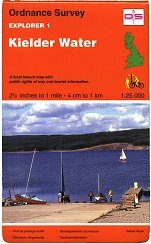 Sheet 1 Kielder Water Second Series: compiled 1993: A (3/94). Replaced by OLM 42 (6/97). Sheet OL1 The Peak District - Dark Peak area, Kinder Scout, Bleaklow, Black Hill & Ladybower Reservoir Second Series: compiled 2002: A (3/02); A1 § (9/04); A1/ (11/04); A2 (1/06); A3 (2/09); A4 (8/11); 5/15 (6/15). Active edition: A2 (3/06); A3 (2/09); A4 (12/11); 5/15 (6/15). Sheet 2 Chiltern Hills North Second Series: compiled 1994: A (3/94). Replaced by sheet 181 (2/99). Sheet OL2 Yorkshire Dales - Southern & Western areas, Whernside, Ingleborough & Pen-y-ghent Second Series: compiled 2001: A (3/02); A1 § (5/05); A1/ (8/05); A1// (10/06); A2 (2/09); A3 (6/14); 5/15 (6/15); 8/16 (9/16). Active edition: A1/ (3/06); A3 (6/14); A2 (2/09); 5/15 (6/15); 8/16 (9/16). Sheet 3 Chiltern Hills South Second Series: compiled 1993: A (3/94). Replaced by sheets 171 (3/99) & 172 (2/99). Sheet OL3 Meon Valley, Portsmouth, Gosport & Fareham Second Series: 5/15 (6/15). Sheet 4 Mendip Hills West Second Series: compiled 1993: A (3/94). Replaced by sheet 141 (4/98). Sheet OL4 The English Lakes - North-western area, Keswick, Cockermouth & Wigton Second Series: compiled 2001: A (3/02); A1 § (5/05); A1/ (6/05); A2 (2/08); A3 (12/10) A3/ (10/14); 5/15(6/15). Active edition: A1/ (3/06); A2 (2/08); A3 (4/11); 5/15 (6/15). Sheet 5 Mendip Hills East Second Series: compiled 1993: A (3/94). Replaced by sheet 142 (5/98). Sheet OL5 The English Lakes - North-eastern area, Penrith, Patterdale & Caldbeck Second Series: compiled 2001: A (3/02); A1 § (5/05); A1/ (3/07); A2 (2/08); A3 (2/11); 5/15 (6/15); 8/16 (8/16). Active edition: A1 (3/06); A2 (2/08); A3 (5/11); 5/15 (6/15); 8/16 (8/16). Sheet 6 Cannock Chase Second Series: compiled 1995: A (7/95). Replaced by sheet 244 (3/00). Sheet OL6 The English Lakes - South-western area, Coniston, Ulverston & Barrow-in-Furness Second Series: compiled 2001: A (3/02); A1 § (5/05); A1/ (8/05); A1// (12/05); A2 (2/08); A3 (2/11); 5/15 (6/15); 8/16 (8/16). Active edition: A1// (3/06); A2 (2/08); A3 (4/11); 5/15 (6/15); 8/16 (8/16)? Sheet 7 Land's End Second Series: compiled 1995: A (4/95); A1 (7/96). Replaced by sheet 102 (4/98). Sheet OL7 The English Lakes - South-eastern area, Windermere, Kendal & Silverdale Second Series: compiled 2001: A (3/02); A1 § (5/05); A1/ (8/05); A2 (2/08); A3 (12/10); 5/15 (6/15); 8/16 (9/16)? Active edition: A1/ (3/06); A2 (2/08); A3 (4/11); 5/15 (6/15); 8/16 (9/16). Sheet 8 The Lizard Second Series: compiled 1994: A (4/95); A1 (7/96). Replaced by sheet 103 (5/98). Sheet OL8 Chichester, South Harting & Selsey Second Series: 5/15 (6/15). Sheet 9 Bodmin Moor Second Series: compiled 1994: A (4/95). Replaced by sheet 109 (8/97). Sheet OL9 Exmoor, Barnstaple, Lynton, Minehead & Dulverton Second Series: compiled 2002: A (3/02). partially revised 2004: B (3/04); B1 § (8/05); B1/ (10/06); B2 (5/08), B2/ (11/14); 5/15 (6/15); 1/17 (1/17). Active edition: B1 (3/06); B2 (5/08); B2/ (3/15); 5/15 (6/15); 1/17 (3/17). Sheet OL10 Arundel & Pulborough, Worthing & Bognor Second Series: 5/15 (6/15); 3/16 (5/16). Active edition: 5/15 (6/15)? ; 3/16 (5/16)? Sheet 11 The Trossachs Second Series: compiled 1996: A (3/96). Replaced by sheet 365 (8/01). Sheet OL11 Brighton & Hove, Lewes & Burgess Hill Second Series: 5/15 (6/15). Sheet 12 Lleyn Peninsula West Second Series: compiled 1996: A (8/96). Replaced by sheet 253 (2/02). Sheet OL12 Brecon Beacons National Park / Parc Cenedlaethol Bannau Brycheiniog - Western area / Ardal gorllewinol Second Series: compiled 2001: A (3/02); A1 § (5/05); A1/ (4/06); A1// (11/07); A2 (12/08); A3 (1/13); 5/15 (6/15); 12/16 (1/17). Active edition: A1 (3/06); A2 (12/08); A3 (1/13); 5/15 (6/15); 12/16 (1/17). Sheet 13 Lleyn Peninsula East Second Series: compiled 1996: A (8/96). Replaced by sheet 254 (2/02). Sheet OL13 Brecon Beacons National Park / Parc Cenedlaethol Bannau Brycheiniog - Eastern area / Ardal ddwyreiniol Second Series: compiled 2001: A (3/02); A1 § (5/05); A2 (10/05); A2/ (1/08); A3 (1/09); A3/ (4/10); A4 (1/13); 5/15 (6/15); 6/16 (6/16). Active edition: A2 (3/06); A3 (1/09); A3/ (4/10); A4 (???? ); A4/ (1/13); 5/15 (6/15). Sheet 14 Malvern Hills Second Series: Compiled : A ( / ). Replaced by sheet 190 (8/99). Sheet OL14 Wye Valley & Forest of Dean / Dyffryn Gwy a Fforest y Ddena Second Series: compiled 2001: A (3/02); A1 § (10/05); A2 (8/09); A3 (1/13); 5/15 (6/15). Active edition: A1 (3/06); A2 (8/09); A3 (1/13); 5/15 (6/15). Sheet 15 Rutland Water Second Series: compiled 1996: A (5/96). Replaced by sheet 234 (2/02). Sheet OL15 Purbeck & South Dorset, Poole, Dorchester, Weymouth & Swanage Second Series: compiled 2001: A (3/02). partially revised 2003: B (5/04); B1 § (11/04); B2 (10/06); B2/ (11/07); B3 (2/10); B4 (6/12); B4/ (1/14) B4 [sic] (9/14); 5/15 (6/15); 12/16 (02/17). Active edition: B1 (3/06); B2 (10/06); B3 (2/10); B4 (6/12); B4/ (7/14); 5/15 (6/15); 12/16 (5/17). Newhaven to Eastbourne Second Series: compiled 1995: A (9/96). Replaced by sheet 123 (4/98). Sheet OL16 The Cheviot Hills, Jedburgh & Wooler Second Series: compiled 2002: A (3/02); A1 § (5/05); A2 (10/06); A2/ (10/07); A3 (5/09); 5/15 (6/15). Active edition: A1 (3/06); A2 (10/06); A3 (5/09); 5/15 (6/15). Steyning to Newhaven Second Series: compiled 1996: A (9/96). Replaced by sheet 122 (4/98). Sheet OL17 Snowdon / Yr Wyddfa, Conwy Valley/Dyffryn Conwy Second Series: compiled 2001: A (3/02); A/ (11/03); A// (5/04); A1 § (5/05); A1/ ( / ); A2 (4/08); A2/ (9/08); A2// (9/09); A2/// (4/13); 5/15 (6/15). Active edition: A1/ (3/06); A2 (5/08); A2/ (???? ); A2// (???? ); A2/// (8/13); 5/15 (6/15). Sheet 18 Ashdown Forest Second Series: compiled 1996: A (10/96). Replaced by sheet 135 (2/98). Sheet OL18 Harlech, Porthmadog & Bala / Y Bala Second Series: compiled 2001: A (3/02); A1 § (5/05); A1/ (7/05); A2 (5/08); A2/ (8/09); 5/15 (6/15). Active edition: A1/ (3/06); A2 (5/08); A2/ (8/09); A2// (8/18); 5/15 (6/15). Sheet 19 West Pennine Moors Second Series: compiled 1996: A (11/96). Replaced by sheet 287 (12/00). Sheet OL19 Howgill Fells & Upper Eden Valley Second Series: compiled 2002: A (3/02); A1 § (5/05); A1/ (4/07); A2 (5/08); A3 (1/15); 5/15 (6/15); 10/16 (12/16). Active edition: A1 (3/06); A2 (5/08); A3 (1/15); 5/15 (6/15); 10/16 (12/16). Sheet 20 Isles of Scilly Second Series: compiled 1996: A (11/96). Replaced by sheet 101 (5/99). Sheet OL20 South Devon, Brixham to Newton Ferrers Second Series: compiled 2002: A (3/02). partially revised 2004: B (7/04); B1 § (8/05); B1/ (7/06); B2 (1/09); B2/ (9/09); B3 (8/10); B3/ (6/14); 5/15 (6/15). Active edition: B1 (3/06); B2 (1/09); B3 (8/10); B3/ (10/14); 5/15 (6/15). Sheet 21 Pitlochry & Loch Tummel Second Series: compiled 1996: A (1/97). Replaced by sheet 386 (10/01). Sheet OL21 South Pennines, Burnley, Hebden Bridge, Keighley & Todmorden Second Series: compiled 2001: A (3/02); A1 § (9/04); A1/ (12/04); A1// (9/06); A2 (5/08); A3 (4/11); A4 (7/14); 5/15 (6/15). Active edition: A1/ (3/06); A2 (5/08); A3 (9/11); A4 (7/14); 5/15 (6/15). Sheet 22 Quantock Hills & Bridgwater Second Series: compiled 1992: A (11/96). Replaced by sheet 140 (7/99). Sheet OL22 New Forest, Southampton, Ringwood, Ferndown, Lymington, Christchurch and Bournemouth Second Series: compiled 2001: A (3/02). partially revised 2004: B (4/04); B1 § (11/04); B1/ (4/05); B1// (8/05); B2 (10/06); B2/ (11/07); B3 (2/10); B4 (10/11); B4/ (10/13); B4// (3/14); 5/15 (6/15). Active edition: B1// (3/06); B2 (10/06); B3 (2/10); B4 (10/11); B4/ (? ?/13); B4// (7/14); 5/15 (6/15). Sheet 23 Norfolk Coast West Second Series: compiled 1996: A (12/96). Replaced by sheet 250 (2/02). Sheet OL23 Cadair Idris & Llyn Tegid Second Series: compiled 2001: A (3/02); A1 § (5/05); A1/ (7/05); A2 (5/08); A2/ (4/13); 5/15 (6/15). Active edition: A1/ (3/06); A2 (5/08); A2/ (8/18); 5/15 (6/15). Sheet 24 Norfolk Coast Central Second Series: compiled 1996: A (1/97); A/ (8/98). Replaced by sheet 251 (2/02). Buxton, Bakewell, Matlock & Dove Dale Second Series: compiled 2002: A (3/02); A1 § (9/04); A2 (11/05); A2/ (8/06); A2// (5/08); A3 (10/09); A4 (8/11); A4/ (7/14); 5/15 (6/15). Active edition: A2 (3/06); A3 (10/09); A4 (12/11); A4/ (7/14); 5/15 (6/15). Sheet 25 Norfolk Coast East Second Series: compiled 1996: A (2/97). Replaced by sheet 252 (2/02). Sheet OL25 Eastbourne & Beachy Head Second Series: compiled : 5/15 (6/15). Sheet 26 Nidderdale Second Series: compiled 1997: A (4/97). Replaced by sheet 298 (11/00). Sheet OL26 North York Moors - Western area Second Series: compiled 2001: A (3/02); A1 § (5/05); A1/ (8/05); A1// (1/07); A2 (2/09); A3 (9/11); A3/ (2/14); 5/15 (6/15); 3/16 (6/16); 12/17 (4/18). Active edition: A1/ (3/06); A2 (2/09); A3 (9/11); A3/ (7/14); 12/18 (5/18); 5/15 (6/15); 12/17 (5/18). Sheet 27 Lower Wharfedale & Washburn Valley Second Series: compiled 1996: A (3/97). Replaced by sheet 297 (9/00). Sheet OL27 North York Moors - Eastern area Second Series: compiled 2001: A (3/02); A1 § (5/05); A1/ (8/05); A1// ( / ); A2 (2/09); A3 (9/11); 5/15 (6/15); 3/16 (6/16); 12/17 (?/18). Active edition: A1// (3/06); A2 (2/09); A3 (9/11); 12/17 (4/18); 5/15 (6/15); 12/17 (5/18). Sheet 28 Sherwood Forest Second Series: compiled 1996: A (3/97). Replaced by sheet 270 (2/02). Sheet OL28 Dartmoor Second Series: compiled 2001: A (3/02). partially revised 2004: B (3/04); B1 § (8/05); B2 (5/08); B2/ (5/09); B3 (8/10); 5/15 (6/15). Active edition: B1 (3/06); B2 (5/08); B3 (8/10); B3/ (1/14); 5/15 (6/15). Sheet 29 Lyme Regis and Bridport Second Series: compiled 1996: A (3/97). Replaced by sheet 116 (11/98). Cowes, Newport, Ryde, Sandown, Shanklin, Yarmouth & Ventnor Second Series: compiled 2001: A (3/02). partially revised 2004: B (4/04); B1 § (11/04); B1/ (4/05); B1// (4/06); B2 (3/08); B3 (4/13); 5/15 (6/15). Active edition: B1/ (3/06); B2 (3/08); B3 (4/18); 5/15 (6/15). Sheet 30 Exmouth & Sidmouth Second Series: compiled 1997: A (5/97). Replaced by sheet 115 (9/99). Sheet OL30 Yorkshire Dales - Northern & Central areas, Wensleydale & Swaledale Second Series: compiled 2001: A (3/02); A1 § (5/05); A1/ (8/05); A1/[/] (12/05); A2 (1/09); A3 (9/13); 5/15 (6/15); 8/16 (9/16). Active edition: A1/ (3/06); A2 (1/09); 5/15 (6/15); 8/16 (9/16). Sheet 31 Torquay & Dawlish Second Series: compiled 1996: A (3/97). Replaced by sheet 110 (9/99). Sheet OL31 North Pennines - Teesdale & Weardale Second Series: compiled 2002: A (3/02); A1 § (5/05); A1/ (10/05); A1// (3/07); A2 (8/08); A3 (8/11); 5/15 (6/15). Active edition: A1/ (3/06); A2 (8/08); A3 (12/11); 5/15 (6/15)? Sheet OL32 Winchester, New Arlesford & East Meon Second Series: 5/15 (6/15). Sheet OL33 Haselmere & Petersfield, Midhurst & Selborne Second Series: 5/15 (6/15). Sheet OL34 Crawley & Horsham, Cranleigh & Billingshurst Second Series: 5/15 (6/15); 3/16 (6/16). Active edition: 5/15 (6/15); 3/16 (10/16). Sheet OL35 North Pembrokeshire / Gogledd Sir Benfro Second Series: compiled 2001: A (3/02); A1 § (5/05); A1/ (4/06); A2 (8/09); A3 (1/13); 5/15 (6/15). Sheet OL36 South Pembrokeshire / De Sir Benfro Second Series: compiled 2001: A (3/02); A1 § (5/05); A1/ (4/06); A2 (8/09); A3 (1/13); 5/15 (6/15); 3/16 (4/16). Active edition: A1 (3/06); A2 (8/09); A3 (1/13); 5/15 (6/15); 3/16 (4/16). Sheet OL37 Cowal East, Dunoon & Inverary Second Series: 5/15 (6/15). Sheet OL38 Loch Lomond South, Dumbarton & Helensburgh, Drymen & Cove Second Series: 5/15 (6/15). Sheet OL39 Loch Lomond North, Tyndrum, Crianlarich & Arrochar Second Series: 5/15 (6/15); 5/18 (6/18). Active edition: 5/16 (6/16)5/18 (8/18). Sheet OL40 The Broads, Wroxham, Beccles, Lowestoft & Great Yarmouth Second Series: compiled 2002: A (3/02); A1 § (10/05); A1/ (5/07); A2 (1/10); 5/15 (6/15); 12/16 (11/16); 06/17 (08/17); 8/18 (8/18). Active edition: A1 (3/06); A2 (1/10); 5/15 (6/15); 12/16 (3/17); 6/17 (9/17); 8/18 (8/18). Sheet OL41 Forest of Bowland & Ribblesdale, Pendle Hill, Clitheroe & Settle Second Series: compiled 2001: A (3/02); A1 § (9/04); A1/ (5/05); A2 (2/09); A3 (3/14); 5/15 (6/15); 4/18 (7/18). Active edition: A1/ (3/06); A2 (2/09); A3 (1/14); 4/18 (7/18); 5/15 (6/15); 4/18 (7/18). Sheet OL42 Kielder Water & Forest, Bellingham & Simonside Hills Second Series: compiled 2001: A (3/02); A1 § (5/05); A2 (10/06); A2/ (7/07); A3 (6/09); A3/ (2/13); A3// (10/14); 5/15 (6/15). Active edition: A1 (3/06); A2 (10/06); A3 (6/09); A3/ (8/13); 5/15 (6/15). Sheet OL43 Hadrians Wall, Haltwhistle & Hexham Second Series: compiled 2002: A (3/02); A/ (5/03); A1 § (5/05); A1/ ( / ); A1// (2/07); A2 (11/09); A3 (2/12); 5/15 (6/15). Active edition: A1/ (3/06); A2 (11/09); A3 (5/12); 5/15 (6/15). Sheet OL44 Torquay & Dawlish, Newton Abbot Second Series: 5/15 (6/15); 04/17 (04/17). Active edition: 5/15 (6/15); 04/17 (04/17)? 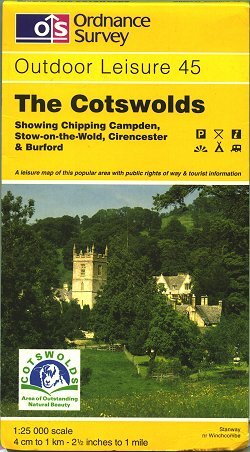 Burford, Chipping Campden, Cirencester & Stow-on-the Wold Second Series: compiled 2001: A (3/02); A/ (1/03); A1 § (10/05); A2 (11/09); A2 [sic] (6/14); 5/15 (6/15). Active edition: A1 (3/06); A2 (11/09); A2/ (10/14); 5/15 (6/15). Sheet OL46 The Trossachs, Callander, Aberfoyle & Lochearnhead, Balquhidder & Strathyre Second Series: 5/15 (6/15). Sheet OL47 Crieff, Comrie & Glen Artney, Strathearn & Auchterarder Second Series: 5/15 (6/15). Sheet OL48 Ben Lawers & Glen Lyon, Loch Tay, Killin & Kenmore Second Series: 5/15 (6/15). Sheet OL49 Pitlochry & Loch Tummel, Aberfeldy, Kinloch Rannoch & Schiehallion Second Series: 5/15 (6/15). Sheet OL50 Ben Alder, Loch Ericht & Loch Laggan, Dalwhinnie Second Series: 5/15 (6/15). Sheet OL51 Atholl, Glen Tilt, Beinn Dearg & Carn nan Gabhar Second Series: 5/15 (6/15). Sheet OL52 Glen Shee & Braemar, The Cairnwell & Glas Maol Second Series: 5/15 (6/15). 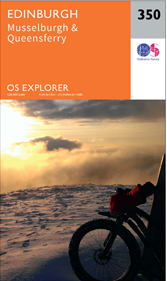 Sheet OL53 Lochnagar, Glen Muick & Glen Clova, Ballater & Balmoral Second Series: 5/15 (6/15). Sheet OL54 Glen Esk & Glen Tanar, Aboyne & Mount Keen Second Series: 5/15 (6/15). Sheet OL55 Loch Laggan & Creag Meagaidh, Corrieyairack Pass Second Series: 5/15 (6/15). Sheet OL56 Badenoch & Upper Strathspey, Kingussie & Newtonmore Second Series: 5/15 (6/15). Sheet OL57 Cairn Gorm & Aviemore, Loch Morlich Second Series: 5/15 (6/15). Sheet OL58 Braemar, Tomintoul, Glen Avon, Beinn a' Bhuird & Ben Avon Second Series: 5/15 (6/15). Sheet OL59 Aboyne, Alford & Strathdon Second Series: 5/15 (6/15). Sheet OL60 Lochindorb, Grantown-on-Spey & Carrbridge Second Series: 5/15 (6/15). Sheet OL61 Grantown-on-Spey & Hills of Cromdale, Upper Knockando & Tomnavoulin Second Series 5/15 (6/15). Sheet OL62 Correen Hills & Glenlivet, Bennachie & Ladder Hills, Insch & Rhynie Second Series: 5/15 (6/15). Sheet 101 Isles of Scilly Second Series: compiled 1996: A (5/99) $. partially revised 2003: B (11/03); B1 § (10/05); B1/ (7/08); B1// (10/13); 9/15 (9/15). Active edition: B1 (11/06); B1// (1/14); 9/15 (9/15). Sheet 102 Land's End, Penzance & St Ives Second Series: partially revised 1996: A1 (4/98) $. partially revised 2003: B (9/03); B1 § (10/05); B1/ (7/07); B2 (12/09); 9/15 (9/15). Active edition: B1 (3/06); B2 (12/09); 9/15 (9/15). Sheet 103 The Lizard, Falmouth & Helston Second Series: partially revised 1996: A1 (5/98) $. partially revised 2003: B (9/03); B1 § (10/05); B1/ (5/07); B2 (12/09); A2/ [sic] (2/14); 9/15 (9/15). Active edition: A1 (3/06); A2 (12/09); A2/ (7/14); 9/15 (9/15). Sheet 104 Redruth & St Agnes, Camborne & Perranporth Second Series: compiled 1997: A (6/97); A/ ( / ). partially revised 2003: B (9/03); B1 § (10/05); B2 (8/08); B2/ (10/13); 9/15 (9/15). Active edition: B1 (3/06); B2 (8/08); B2/ (1/14); 9/15 (9/15). Sheet 105 Falmouth & Mevagissey, Truro & St Mawes Second Series: compiled 1997: A (9/97); Rsc 2001: A1 (7/01). partially revised 2003: B (9/03); B1 § (9/05); B1/ (4/07); B2 (12/09); 9/15 (9/15). Sheet 106 Newquay & Padstow, Wadebridge, Port Isaac & St Columb Major Second Series: compiled 1997: A (6/97). partially revised 2003: B (8/03); B1 § (10/05); B2 (5/08); B3 (2/11); 9/15 (9/15). Active edition: B1 (3/06); B2 (5/08); B3 (5/11); 9/15 (9/15). Sheet 107 St Austell, Liskeard, Fowey, Looe & Lostwithiel Second Series: compiled 1997: A (6/97); Rsc 2001: A1 (8/01). partially revised 2003: B (8/03); B1 § (10/05); B2 (5/08); B3 (4/11); 9/15 (9/15); 10/17 (1/18). Active edition: B1 (3/06); B2 (5/08); B3 (8/11); 10/17 (2/18); 9/15 (9/15); 10/17 (1/18)? Sheet 108 Lower Tamar Valley & Plymouth, Tavistock & Callington Second Series: compiled 1997: A (9/97). partially revised 2003: B (9/03); B/ (9/03); B1 § (10/05); B2 (6/10); B3 (8/12); 9/15 (9/15). Active edition: B1 (3/06); B2 (7/10); B3 (1/13); 9/15 (9/15). Sheet 109 Bodmin Moor, Bodmin, Camelford & Liskeard Second Series: compiled 1997: B (8/97). partially revised 2003: C (9/03); C1 § (8/05); C2 (10/08); 9/15 (9/15). Active edition: C1 (3/06); C2 (10/08); 9/15 (9/15). Sheet 110 Torquay & Dawlish, Newton Abbot Second Series: compiled 1997: A/ (8/99) $. partially revised 2003: B (8/03); B1 § (8/05); B1/ (7/07); B2 (7/10); B2/ (7/13); 9/15 (9/15)? Active edition: B1 (3/06); B2 (4/11); B2/ (11/13); 9/15 (9/15). Replaces sheet 31. Later replaced by OL44. Sheet 111 Bude, Boscastle & Tintagel Second Series: compiled 1997: A (8/97). partially revised 2003: B (9/03); B1§ (8/05); B2 (3/12); 9/15 (9/15). Active edition: B1 (3/06); B2 (5/12); 9/15 (9/15). Sheet 112 Launceston & Holsworthy, Roadford Lake Second Series: compiled 1997: A (9/97). Sheet 113 Okehampton, Hatherleigh, North Tawton & Lapford Second Series: compiled 1997: A (9/97). partially revised 2003: B (1/04); B1 § (10/05); B1/ (3/09); B1// (10/13); 9/15 (9/15). Active edition: B1 (3/06); B1/ (3/09); B1// (4/14); 9/15 (9/15). Sheet 114 Exeter & the Exe Valley, Crediton, Tiverton & Dulverton Second Series: compiled 1997: A (11/97); A1 (7/02). partially revised 2003: B (11/03); B1 § (8/05); B1/ (4/07); 9/15 (9/15). Active edition: B1 (3/06); 9/15 (9/15). Sheet 115 Exmouth & Sidmouth, Honiton Second Series: compiled 1997: A (9/99) $; Rsc 2001: A1 (9/01). partially revised: B (1/04); B1 § (9/05); B1/ (4/11); B1// (12/14); 9/15 (9/15). Active edition: B1 (3/06); B1/ (9/11); 9/15 (9/15). Sheet 116 Lyme Regis & Bridport, Chard Second Series: compiled 1997: A (11/98) $. partially revised 2003: B (11/03); B1 § (10/05); B1/ (5/07); B1// (5/08); B2 (2/11); 9/15 (9/15); 6/18 (6/18). Active edition: B1 (3/06); B2 (6/11); 9/15 (9/15); 6/18 (9/18). Sheet 117 Cerne Abbas & Bere Regis, Blandford Forum & Beaminster Second Series: compiled 1997: A (1/98). partially revised 2004: B (5/04); B1 § (11/04); B2 (2/10); 9/15 (9/15); 2/18 (4/18)? Active edition: B1 (3/06); B2 (2/10); 9/15 (9/15); 2/18 (4/18). Poole, Wimborne Minster & Blandford Forum Second Series: compiled 1997: A (11/97); A1 § (11/04); A1/ (8/07); A2 (1/10); A2/ (1/14); 9/15 (9/15); 8/18 (12/18). Active edition: A1 (3/06); A2 (1/10); A2/ (1/14); 9/15 (9/15); 8/18 (12/18)? Sheet 119 Meon Valley, Portsmouth, Gosport & Fareham Second Series: compiled 1997: A (3/98); A/ (6/00); A1 § (11/04); A1/ (1/05); A1// (5/07); A2 (2/10); A2/ (1/11). Active edition: A1/ (3/06); A2 (2/10); A2/ (5/11). Sheet 120 Chichester, South Harting & Selsey Second Series: compiled 1997: A (11/97). partially revised 2004: B (6/04); B1 (11/04); B1/ (6/07); B2 (4/09); B2/ (2/14). Active edition: B1 (3/06); B2 (4/09); B2/ (5/14). Sheet 121 Arundel & Pulborough, Worthing & Bognor Regis Second Series: compiled 1997: A (1/98). partially revised 2003: B (5/03); B1 § (9/04); B2 (4/09); B2/ (10/10). Active edition: B1 (3/06); B2 (4/09); B2 (4/11). Sheet 122 Brighton & Hove, Lewes & Burgess Hill Second Series: compiled 1996: A (4/98) $; A1 (6/99). partially revised 2003: B (6/03); B1 § (9/04); B1/ (1/05); B1// (12/06); B2 (4/09); B2/ (12/10). Active edition: B1/ (3/06); B2 (4/09); B2// (1/11). Replaces sheet 17. Later replaced by OL11. Newhaven, Seaford, Hailsham & Heathfield Second Series: compiled 1995: A (4/98) $. partially revised 2003: B (5/03); B/ (1/04); B1 § (9/04); B2 (4/09); B2/ (3/12). Active edition: B1 (3/06); B2 (4/09); B2/ (5/12). Replaces sheet 16. Later replaced by OL25. Sheet 124 Hastings & Bexhill, Battle & Robertsbridge Second Series: compiled 1997: A (11/97). partially revised 2003: B (5/03); B1 § (9/04); B1/ (3/05); B2 (3/11); 9/15 (9/15); 12/16 (12/16). Active edition: B1/ (11/06); B2 (8/11); 9/15 (9/15); 12/16 (12/16)? Sheet 125 Romney Marsh, Rye & Winchelsea, Tenterden & New Romney Second Series: compiled 1997: A (1/98). partially revised 2003: B (5/03); B1 § (9/04); B2 (4/11); 9/15 (9/15); 8/17 (10/17). Active edition: B1 (11/06); B2 (8/11); 9/15 (9/15); 12/16 (4/17); 8/17 (2/18). Sheet 126 Clovelly & Hartland, Bideford & Bradworthy Second Series: compiled 1997: A (10/97). partially revised 2003: B (9/03); B1 § (8/05); B2 (2/11); B2/ (11/14); 9/15 (9/15). Active edition: B1 (3/06); B2 (5/11); B2/ (11/14); 9/15 (9/15). King's Nympton, Chittlehampton & Dolton Second Series: compiled 1997: A (10/97). partially revised 2003: B (2/04); B1 § (10/05); B2 (3/13); 9/15 (9/15). Active edition: B1 (3/06); B2 (?? ); 9/15 (9/15). Sheet 128 Taunton & Blackdown Hills, Wellington & Ilminster Second Series: compiled 1997: A (10/97). partially revised 2003: B (12/03); B1 § (8/05); B2 (8/08); B3 (3/14); 9/15 (9/15). Active edition: B1 (3/06); B2 (8/08); B3 (7/14); 9/15 (9/15). Sheet 129 Yeovil & Sherborne, Somerton & Wincanton Second Series: compiled 1997: A (9/97). partially revised 2004: B (6/04); B1 § (11/04); B2 (8/10); 9/15 (9/15). Active edition: B1 (3/06); B2 (12/10); 9/15 (9/15). Sheet 130 Salisbury & Stonehenge, Milton & Market Lavington Second Series: compiled 1997: A (3/98); A1 § (11/04); A1/ (4/05); A1// (1/07); A1/// (7/08); A2 (6/09); A2/ (2/14); 9/15 (9/15). Active edition: A1/ (3/06); A2 (6/09); A2/ (7/14); 9/15 (9/15). Sheet 131 Romsey, Andover & Test Valley, Stockbridge & Ludgershall Second Series: compiled 1997: A (2/98). partially revised 2004: B (7/04); B1 § (11/04); B1/ (4/05); B1/ (4/07); B2 (7/09); B2/ (2/15); 9/15 (9/15). Active edition: B1/ (3/06); B2 (7/09); 9/15 (9/15). Sheet 132 Winchester, New Alresford & East Meon Second Series: compiled 1997: A (3/98); A/ (4/00). partially revised 2004: B (7/04); B/ (7/04); B1 § (12/04); B1/ ( / ); B2 (4/09); B2/ (3/11). Active edition: B1/ (3/06); B2 (4/09); B2/ (6/11). Sheet 133 Haslemere & Petersfield, Midhurst & Selborne Second Series: compiled 1997: A (10/97). partially revised 2004: B (5/04); B1 § (11/04); B1/ (11/06); B2 (4/09); B2/ (11/11); B2// (2/14). Active edition: B1 (3/06); B2 (4/09); B2/	(1/12); B2// (7/14). Sheet 134 Crawley & Horsham, Cranleigh & Billingshurst Second Series: compiled 1997: A (11/97). partially revised 2003: B (6/03); B1 § (9/04); B1/ (2/05); B2 (4/09); B2/ (11/13). Active edition: B1/ (3/06); B2 (4/09); B2/ (1/14). Sheet 135 Ashdown Forest, Royal Tunbridge Wells, East Grinstead, Haywards Heath & Crowborough Second Series: compiled 1996: A (2/98) $; A1 (6/99). partially revised 2003: B (5/03); B1 § (9/04); B1/ (1/05); B2 (4/07); B3 (5/10); B4 (11/12); B4/ (10/13), 9/15 (9/15). Active edition: B1/ (3/06); B2 ( &NBSP; / &NBSP; ); B2/ (4/07); B3 (6/10); B4 (1/13); 9/15 (9/15). Cranbrook, Hawkhurst & Bewl Water Second Series: compiled 1997: A (10/97). partially revised 2003: B (5/03); B1 § (9/04); B1/ (11/06); B2 (4/11); 9/15 (9/15). Active edition: B1/ (11/06); B2 (5/11); B2/ (?/14); 9/15 (9/15). Sheet 137 Ashford, Headcorn, Chilham & Wye Second Series: compiled 1997: A (9/97). partially revised 2003: B (5/03); B1 § (9/04); B2 (5/11); 9/15 (9/15). Active edition: B1 (11/06); B2 (8/11); 9/15 (9/15). Sheet 138 Dover, Folkestone & Hythe Second Series: compiled 1997: A (6/97); A/ [11/98]. partially revised 2003: B (5/03); B1 § (9/04); B1/ (2/05); B2 (4/09); 9/15 (9/15); 11/17 (12/17). Active edition: B1/ (3/06); B2 (4/09); 10/17 (2/18); 9/15 (9/15); 11/17 (12/17)? Sheet 139 Bideford, Ilfracombe & Barnstaple, Woolacombe & Lundy Second Series: compiled 1997: A (3/98); A/ (9/01). partially revised 2003: B (1/04); B1 § (8/05); B2 (5/08); 9/15 (9/15). Active edition: B1 (3/06); B2 (5/08); 9/15 (9/15). Sheet140 Quantock Hills & Bridgwater Second Series: compiled 1996: A/ (7/99) $, A1 (12/02). partially revised 2004: B (10/04); B1 § (8/05); B2 (8/08); B2/ (11/13); 9/15 (9/15); 12/16 (1/17). Active edition: B1 (3/06); B2 (8/08); B2/ (1/14); 9/15 (9/15); 12/16 (3/17). Sheet 141 Cheddar Gorge & Mendip Hills West, Wells & Glastonbury Second Series: partially revised 1998: B (4/98); B1 § (11/04); B2 (4/08); B2/ (2/14); 9/15 (9/15). Active edition: B1 (3/06); B2 (4/08); B2/ (7/14); B2// (7/14); 9/15 (9/15). Sheet 142 Shepton Mallet & Mendip Hills East, Frome & Midsomer Norton Second Series: partially revised 1997: B (5/98); Rsc 2004: B1 (6/04); B2 § (11/04); B3 (4/10); 9/15 (9/15). Active edition: B2 (3/06); B3 (?? ); 9/15 (9/15). Sheet 143 Warminster & Trowbridge, Westbury & Mere Second Series: compiled 1997: A (2/98). partially revised 2004: B (5/04; B1 § (11/04); B2 (5/10); 9/15 (9/15). Active edition: B1 (11/06); B2 (7/10); 9/15 (9/15). Sheet 144 Basingstoke, Alton & Whitchurch, Odiham, Overton & Hook Second Series: compiled 1997: A (2/98). partially revised 2004: B (5/04); B1 § (11/04); B1/ (9/05); B2 (10/10); B2/ (5/14); 9/15 (9/15). Active edition: B1/ (3/06); B2 (5/10); B2/ (10/14); 9/15 (9/15). Sheet 145 Guildford & Farnham, Godalming & Farnborough Second Series: compiled 1997: A (2/98). partially revised 2003: B (6/03); B1 § (9/04); B1/ (11/04) B1// (6/05); B2 (3/07); B2/ (9/14); 9/15 (9/15). Active edition: B1/ (3/06); B2 (3/07); B2/ (11/14); 9/15 (9/15). Sheet 146 Dorking, Box Hill & Reigate, Leatherhead & Caterham Second Series: compiled 1997: A (11/97); A/ (7/99). partially revised 2003: B (6/03); B1 § (9/04); B1/ (2/05); B2 (1/08); 9/15 (9/15). Active edition: B1/ (3/06); B2 (1/08); 9/15 (9/15). Sheet 147 Sevenoaks & Tonbridge, Royal Tunbridge Wells & Westerham Second Series: compiled 1997: A (10/97). partially revised 2003: B (5/03); B/ (2/04); B1 § (9/04); B1/ (4/05); B2 (3/07); B2/ (10/07); 9/15 (9/15). Active edition: B1/ (3/06); B2 (3/07); B2/ (10/07)? ; 9/15 (9/15). Sheet 148 Maidstone & the Medway Towns Second Series: compiled 1997: A (9/97); Rsc 2001: A1 (12/00). partially revised 2003: B (5/03); B1 § (9/04); B2 (10/06); B3 (11/08); 9/15 (9/15). Active edition: B1 (3/06); B2 (10/06); B3 (11/08); 9/15 (9/15). Sheet 149 Sittingbourne & Faversham, Isle of Sheppey Second Series: compiled 1997: A (6/97). partially revised 2003: B (5/03); B1 § (9/04); B2 (3/07); B2/ (5/14); 9/15 (9/15). Active edition: B1 (11/06); B2 (4/07); B2/ (9/14); 9/15 (9/15). Sheet 150 Canterbury & the Isle of Thanet, Herne Bay, Deal & Whitstable Second Series: compiled 1997: A (5/97). partially revised 2003: B (6/03); B1 § (9/04); B2 (5/07); B3 (1/11); B3/ (9/13); 9/15 (9/15); 8/17 (10/18?). Active edition: B1 (3/06); B2 (5/07); B3 (4/11); B3/ (11/13);; 9/15 (9/15) 10/17 (1/18). Sheet 151 Cardiff & Bridgend/Caerdydd a Phen-y-bont ar Ogwr, Vale of Glamorgan / Bro Morgannwg Second Series: compiled 1997: A (2/98); A1 § (5/05); A2 (7/11); A2/ ( / ); A2// (2/13); 9/15 (9/15). Active edition: A1 (3/06); A2 (11/11); A2/ (5/13); 9/15 (9/15). Sheet 152 Newport & Pontypool/Casnewydd a Pont-y-pwl Second Series: compiled 1998: A (3/99); A1 § (5/05); A2 (8/09); A2/ (7/13); 9/15 (9/15). Active edition: A1 (11/06); A2 (8/09); A2/ (1/14); 9/15 (9/15). Sheet 153 Weston-super-Mare & Bleadon Hill, Burnham-on-Sea and Clevedon Second Series: compiled 1998: A (3/98). partially revised 2004: B (6/04); B1 § (11/04); B2 (8/05); B3 (12/11); 9/15 (9/15); 5/17 (7/17). Active edition: B2 (3/06); 9/15 (9/15); 5/17 (8/17). Sheet 154 Bristol West & Portishead, Congresbury & Chew Magna Second Series: compiled 1998: A (7/98); A1 § (11/04); A2 § (5/05); A2/ (4/10); A2// (3/13); 9/15 (9/15). Active edition: A2 (3/06); A2/ (4/10); A2// (6/13); 9/15 (9/15). Sheet 155 Bristol & Bath, Keynsham & Marshfield Second Series: compiled 1997: A (8/97); A1 § (11/04); A1/ (6/05); A2 (10/07); A3 (11/11); 9/15 (9/15). Active edition: A1/ (3/06); A2 (10/07); A3 (2/12); 9/15 (9/15). Sheet 156 Chippenham & Bradford-on-Avon, Trowbridge & Melksham Second Series: compiled 1998: A (1/99); A1 § (11/04); A2 (8/07); A2/ (4/11); 9/15 (9/15). Active edition: A1 (11/06); A2 (8/07); A2/ (8/11); 9/15 (9/15). Sheet 157 Marlborough & Savernake Forest, Avebury & Devizes Second Series: compiled 1997: A (3/98); A1 § (11/04); A1/ (7/08); A1// (3/15); 9/15 (9/15). Active edition: A1 (3/06); 9/15 (9/15). Sheet 158 Newbury & Hungerford, Lambourn & Kintbury Second Series: compiled 1998: A (10/98); A1 § (11/04); A1/ (3/09); A1// (2/15); 9/15(9/15). Active edition: A1 (11/06); A1/(3/09); 9/15 (9/15). Sheet 159 Reading, Wokingham & Pangbourne Second Series: compiled 1998: A (10/98); A1 § (11/04); A2 (1/06); A3 (5/11); 9/15 (9/15). Active edition: A2 (11/06); A2/ (3/09); A3 (8/11); 9/15 (9/15). Sheet 160 Windsor, Weybridge & Bracknell Second Series: compiled 1998: A (9/98); A1 § (11/04); A2 (11/05); A2// (5/08); A3 (4/09); A4 (5/12); 9/15 (9/15). Active edition: A2 (11/06); A3 (4/09); A4 (4/12); 9/15 (9/15). Westminster, Greenwich, Croydon, Esher & Twickenham Second Series: compiled 1998: A (1/99); Rsc 2000: A1 (2/01); A2 § (9/04); A3 (2/06); A3/ (6/07); A3// (5/08); A4 (9/10); A5 (6/12); 9/15 (9/15). Active edition: A3 (3/06); A4 (4/11); A5 (6/12); 9/15 (9/15). East End, Docklands, Bromley, Sidcup & Thurrock Second Series: compiled 1998: A (1/99); Rsc 2001: A1 (4/01); A2 § (2/06); A3 (1/09); A4 (6/12); 9/15 (9/15). Active edition: A2 (3/06); A3 (1/09); A4 (6/12); 9/15 (9/15). Sheet 163 Gravesend & Rochester, Hoo Peninsula Second Series: compiled 1997: A (8/97). partially revised 2003: B (5/03); B1 § (9/04); B2 (2/06); B3 (1/09); 9/15 (9/15). Active edition: B2 (11/06); B3 (1/09); 9/15 (9/15). Sheet 164 Gower / Gwyr, Llanelli Second Series: compiled 1995: A (8/99) $; Rsc 2001: A1 (7/01); A2 § (5/05); A3 (9/11); A3/ (3/13); 9/15 (9/15). Active edition: A2 (3/06); A3 (12/11); A3/ (6/13); 9/15 (9/15). Sheet 165 Swansea / Abertawe, Neath /Castell Nedd & Port Talbot Second Series: compiled 1998: A (3/98); A1 § (5/05); A1/ (1/08); A2 (3/12); A2/ (1/13); A2// (2/15); 9/15 (9/15); 5/17 (5/17). Active edition: A1 (11/06); A2 (7/12); A2/ (7/13); 9/15 (9/15); 05/17 (8/17). Sheet 166 Rhondda & Merthyr Tydfil / Merthyr Tudful Second Series: compiled 1998: A (8/98); A1 § (5/05); A1/ (9/06); A2 (8/08); A2/ (3/12); 9/15 (9/15); 10/17 (1/18). Active edition: A1/ (11/06); A2 (8/08); A2/ (5/12); 10/17 (2/18); 9/15 (9/15); 10/17 (1/18)? Sheet 167 Thornbury, Dursley & Yate, Berkeley & Wotton-under-Edge Second Series: compiled 1998: A (3/98); A1 § (1/06); A2 (3/12); 9/15 (9/15). Active edition: A1 (11/06); A2 (7/12); 9/15 (9/15). Sheet 168 Stroud, Tetbury & Malmesbury Second Series: compiled 1998: A (3/98); A/ (11/01); A1 § (1/06); A2 (2/12); 9/15 (9/15). Active edition: A1 (11/06); A3 (2/12); 9/15 (9/15). Sheet 169 Cirencester & Swindon, Fairford & Cricklade Second Series: compiled 1998: A (6/98); A1 § (1/06); A2 (4/09); 9/15 (9/15). Active edition: A1 (11/06); A2 (4/09); 9/15 (9/15). Sheet 170 Abingdon, Wantage & Vale of White Horse, Wallingford & Faringdon Second Series: compiled 1998: A (1/99); A1 § (1/06); A2 (4/09); A2/ (1/14); 9/15 (9/15). Active edition: A1 (11/06); A2 (4/09); A2/ (7/14); A2// (7/14); 9/15 (9/15). Sheet 171 Chiltern Hills West, Henley-on-Thames & Wallingford Second Series: compiled 1999: A (3/99); A1 § (1/06); A2 (10/09); 9/15 (9/15). Active edition: A1 (3/06); A2 (10/09); 9/15 (9/15). Sheet 172 Chiltern Hills East, High Wycombe, Maidenhead & Rickmansworth Second Series: compiled 1998: A (2/99); A1 § (11/05); A1/ (4/08); A1// (11/13); 9/15 (9/15). Active edition: A1 (3/06); A1// (?? ); A1// (1/14); 9/15 (9/15). Sheet 173 London North, The City, West End, Enfield, Ealing, Harrow & Watford Second Series: compiled 1998: A (1/99); Rsc 2000: A1 (11/00); A2 § (2/06); A3 (9/10); A4 (6/12); A4/ (9/14); 9/15 (9/15). Active edition: A2 (3/06); A3 (1/11); A4 (6/12); 9/15 (9/15). Sheet 174 Epping Forest & Lee Valley, Hertford & Harlow Second Series: compiled 1998: A (1/99); revised (sc) 2000: A1 (2/01); A2 § (10/05); A2/ (3/08); A3 (4/09); A4 (6/12); A4/ (?? ); 9/15 (9/15). Active edition: A2 (3/06); A2/ (???? ); A3 (4/09); A4 (6/12); A4/ (11/14); 9/15 (9/15). Sheet 175 Southend-on-Sea & Basildon, Brentwood & Billericay Second Series: compiled 1999: A (3/99); A1 § (2/06); A2 (3/09); A3 (6/12); 9/15 (9/15); 8/18 (11/18). Active edition: A1 (11/06); A2 (3/09); A3 (6/12)8/18 (11/18); 9/15 (9/15); 8/18 (11/18?. Maldon, Burnham-on-Crouch & Southend-on-Sea Second Series: compiled 1998: A (10/98); A1 § (2/06), A2 (9/12); 9/15 (9/15); 8/18 (12/18)? Active edition: A1 (11/06), A2 (?? );; 9/15 (9/15); 8/18 (12/18). Pendine & Laugharne / Pentywyn a Lacharn Second Series: compiled 1999: A (5/99); A1 § (5/05); A1/ (9/10); A1// (1/13); 9/15 (9/15). Active edition: A1 (11/06); A1/ (12/10); 9/15 (9/15). Sheet 178 Llanelli & Ammanford/ Rhydaman, Kidwelly / Cydweli Second Series: compiled 1998: A (10/98); A1 § (5/05); A1/ (4/07); A1// (3/10), A/// (7/13); 9/15 (9/15). Active edition: A1 (11/06); A1// (5/10); A1/// (1/14); 9/15 (9/15). Sheet 179 Gloucester, Cheltenham & Stroud Second Series: compiled 1998: A (8/98); A/ (11/99); A1 § (11/05); A2 (10/08); A2/ (3/11); 9/15 (9/15). Active edition: A1 (3/06); A2 (10/08); A2/ (7/11); A2// (8/12); 9/15 (9/15). Sheet 180 Oxford, Witney & Woodstock Second Series: compiled 1998: A (1/99); A/ (5/01); A1 § (2/06); A2 (10/09); 9/15 (9/15). Sheet 181 Chiltern Hills North, Aylesbury, Berkhamsted & Chesham Second Series: partially revised 1998: B (2/99); B1 § (2/06); B2 (10/09); 9/15 (9/15). Active edition: B1 (3/06); B2 (10/09; 9/15 (9/15)). Sheet 182 St Albans & Hatfield, Hemel Hempstead & Welwyn Garden City Second Series: compiled 1998: A (8/98); A/ (8/98); A1 § (2/06); A1/ (9/10); 9/15 (9/15); 10/17 (2/18). Active edition: A1 (11/06); 10/17 (2/18); 9/15 (9/15); 10/17 (2/18)? Sheet 183 Chelmsford & The Rodings, Maldon & Witham Second Series: compiled 1998: A (8/98); A/ (10/01); A1 § (2/06); A1/ (6/09); 9/15 (9/15). Active edition: A1 (11/06); 9/15 (9/15). Sheet 184 Colchester, Harwich & Clacton-on-Sea Second Series: compiled 1998: A (12/98); A/ (9/01); A1 § (4/06); A1/ (6/13); 9/15 (9/15). Sheet 185 Newcastle Emlyn / Castell Newydd Emlyn, Llandysul & Cynwyl Elfed Second Series: compiled 1998: A (8/98); A1 § (5/05); A1/ (4/10); 9/15 (9/15). Active edition: A1 (11/06); A1/ (8/10); 9/15 (9/15). Sheet 186 Llandeilo & Breachfa Forest / Fforest Brechfa, Llanybydder Second Series: compiled 1998: A (2/99); A1 § (5/05); A2 (11/13); 9/15 (9/15). Active edition: A1 (3/06); A (6/14); 9/15 (9/15). Sheet 187 Llandovery / Llynymddfri, Llanwrtyd Wells & Llyn Brianne Second Series: compiled 1998: A (2/99); A1 § (5/05); A1/ (4/07); A1// (7/14); 9/15 (9/15). Active edition: A1 (11/06); A1/ (? ); A1// (10/14); 9/15 (9/15). Painscastle & Talgarth / Castell Paen & Talgarth Second Series: compiled 1998: A (1/99); A1 § (5/05); A1/ (1/07); A2 (9/08); A2/ (7/12); 9/15 (9/15). Active edition: A1 (11/06); A2 (9/08); A2/ (4/18); 9/15 (9/15). Sheet 189 Hereford & Ross-on-Wye Second Series: compiled 1998: A (11/98); A1 § (11/05); A2 (8/09); 9/15 (9/15). Active edition: A1 (3/06); A2 (7/09; 9/15 (9/15)). Tewkesbury, Ledbury, Pershore & Upton upon Severn Second Series: compiled 1996: A (8/99) $; revised (sc) 2001: A1 (6/01); A2 § (11/05); A3 (11/08); A3/ (12/14); 9/15 (9/15). Active edition: A2 (3/06); A3 (11/08); 9/15 (9/15). Sheet 191 Banbury, Bicester & Chipping Norton, Brackley Second Series: compiled 1999: A (11/99); A1 § (2/06); A1/ ( / ); A1// (11/12); 9/15 (9/15). Sheet 192 Buckingham & Milton Keynes, Leighton Buzzard & Woburn Second Series: compiled 1998: A (8/98); A1 § (2/06); A1/ (1/08); A2 (3/11); 9/15 (9/15). Active edition: A1 (11/06); A2 (7/11); 9/15 (9/15). Sheet 193 Luton & Stevenage, Hitchin & Ampthill Second Series: compiled 1998: A (2/99); A1 § (2/06); A2 (3/10); A2/ (10/14); 9/15 (9/15). Active edition: A1 (11/06); A2 (4/10); 9/15 (9/15). Sheet 194 Hertford & Bishop's Stortford, Buntingford & Clavering Second Series: compiled 1998: A (1/99); A1 § (2/06); A2 (9/12); 9/15 (9/15). Sheet 195 Braintree & Saffron Walden, Halstead & Great Dunmow Second Series: compiled 1998: A (8/98); A1 § (4/06); A2 (8/11); 9/15 (9/15). Active edition: A1 (11/06); A2 (2/12; 9/15 (9/15)). Sheet 196 Sudbury, Hadleigh & Dedham Vale, Lavenham & Long Melford Second Series: compiled 1998: A (3/99); A1 § (4/06); A2 (2/12); 9/15 (9/15). Sheet 197 Ipswich, Felixstowe & Harwich, Woodbridge & Manningtree Second Series: compiled 1999: A (8/99); A1 § (4/06); A1/ ( / ); A2 (2/14); 9/15 ◊ (9/15). Active edition: A (3/06); A1 (4/06); A2 (4/14; 9/15 (9/15)). Sheet 198 Cardigan & New Quay / Aberteifi a Cheinewydd, Aberaaron Second Series: compiled 1998: A (8/98); A1 § (5/05); A1/ (1/07); A1// (9/10); A1/// (8/13); 9/15 (9/15). Active edition: A1 (3/06); A1/ (???? ); A1// (4/11); A1/// (1/14); 9/15 (9/15). Sheet 199 Lampeter / Llanbedr Pont Steffan, Tregaron & Llan-non Second Series: compiled 1999: A (3/99); A1 § (5/05); A1/ (8/11); A1// (2/14); 9/15 (9/15). Active edition: A1 (11/06); A1/ (12/11); A// (7/14); 9/15 (9/15). / Llandrindod a Dryffyn Elan, Rhayader / Rhaeadr Second Series: compiled 1998: A (2/99); A1 § (5/05); A1/ (11/06); A1// (1/13); 9/15 (9/15). Active edition: A1/ (11/06); A1// (4/18); 9/15 (9/15). Kington & Hay-on-Wye / Y Gelli Gandryll Second Series: compiled 1999: A (9/99); A1 § (5/05); A2 (1/06); A3 (9/10); 9/15 (9/15). Active edition: A2 (11/06); 9/15 (9/15). Sheet 202 Leominster & Bromyard, Hereford North Second Series: compiled 1998: A (1/99); A/ (12/00); A1 § (1/06); A1/ (4/06); A1// (5/12); 9/15 (9/15). Active edition: A1/ (11/06); 9/15 (9/15). Sheet 203 Ludlow, Tenbury Wells & Cleobury Mortimer Second Series: compiled 1998: A (2/99); A1 § (1/06); A2 (9/10); 9/15 (9/15). Active edition: A1 (11/06); A2 (12/10; 9/15 (9/15)). Sheet 204 Worcester & Droitwich Spa Second Series: compiled 1998: A (3/99); A1 § (2/06); A2 (11/10); 9/15 (9/15). Active edition: A1 (3/06); A2 (1/11); 9/15 (9/15). Sheet 205 Stratford-upon-Avon & Evesham, Alcester Second Series: compiled 1998: A (11/98); A1 § (2/06); A1/ (11/10); 9/15 (9/15). Active edition: A1 (3/06); A1/ (???? ); A1// (4/11); 9/15 (9/15). Sheet 206 Edge Hill & Fenny Compton, Badby, Kineton & Middle Tysoe Second Series: compiled 2000: A (3/00); A1 § (2/06); A2 (8/12); 9/15 (9/15). Active edition: A1 (11/06); A2 (1/13); 9/15 (9/15). Sheet 207 Newport Pagnell & Northampton South, Towcester & Olney Second Series: compiled 1999: A (11/99); A1 § (2/06); A2 (10/12); 9/15 (9/15). Active edition: A1 (11/06); A2 (2/13); 9/15 (9/15). Sheet 208 Bedford & St Neots, Sandy & Biggleswade Second Series: compiled 1999: A (3/99); A1 § (2/06); A1/ (2/08); A2 (3/09); A3 (11/12); 9/15 (9/15). Active edition: A1 (11/06); A2 (3/09); 9/15 (9/15). Sheet 209 Cambridge, Royston, Duxford & Linton Second Series: compiled 1999: A (3/99); A1 § (2/06); A1/ (2/08); A2 (4/14); 9/15 (9/15). Active edition: A1 (11/06); A2 (4/14); 9/15 (9/15). Sheet 210 Newmarket & Haverhill, Barrow, Clare & Kedington Second Series: compiled 1999: A (3/99); A1 § (4/06); A2 (5/14); 9/15 (9/15). Active edition: A1 (11/06); A2 (9/14); 9/15 (9/15). Sheet 211 Bury St Edmunds & Stowmarket, Debenham & Elmswell Second Series: compiled 1998: A (2/99); A/ (2/99); A1 § (4/06); A2 (12/08); A2/ (11/12); 9/15 (9/15). Active edition: A1 (11/06); A2 (12/08); A2/ (4/18); 9/15 (9/15). Sheet 212 Woodbridge & Saxmundham, Aldeburgh & Framlington Second Series: compiled 1998: A (2/99); A/ (10/99); A1 § (4/06); A1/ ( / ); A2 (7/13); 9/15 (9/15). Active edition: A/ (3/06); A1 (4/06); 9/15 (9/15). Sheet 213 Aberystwyth & Cwm Rheidol, Devil's Bridge / Pontarfynach Second Series: compiled 1998: A (1/99); A1 § (5/05); A1/ (3/08); A1// (10/11); A1/// (2/14 or 7/14); 9/15 (9/15). Active edition: A1 (3/06); A// (2/12); A1/// (7/14); 9/15 (9/15). Sheet 214 Llanidloes & Newtown / Y Drenewydd, Llyn Clywedog Second Series: compiled 1998: A (3/99); A1 § (5/05); A2 (10/05); A3 (3/12); 9/15 (9/15). Active edition: A2 (11/06); A3 (7/12); 9/15 (9/15). Sheet 215 Newtown / Y Drenenwdd & Machynlleth, Llanfair Caereinion Second Series: compiled 1999: A (3/99); A1 § (5/05); A1/ (4/09); 9/15 (9/15). Sheet 216 Welshpool & Montgomery / Y Trallwng a Threfaldwyn, Bishop's Castle Second Series: compiled 1999: A (10/99); A1 § (5/05); A2 (10/05); A3 (11/11); 9/15 (9/15). Active edition: A2 (11/06); A3 (3/12); 9/15 (9/15). Sheet 217 The Long Mynd & Wenlock Edge, Church Stretton & Craven Arms Second Series: compiled 1999: A (2/00); A1 § (1/06); A2 (2/12); 9/15 (9/15); 8/18 (08/18). Active edition: A1 (3/06); A2 (5/12); 8/18 (08/18); 9/15 (9/15); 8/18 (8/18). Sheet 218 Kidderminster & Wyre Forest, Brignorth Second Series: compiled 1999: A (6/99); A1 § (2/06); A1/ (8/07); A2 (7/13); 9/15 (9/15). Active edition: A1 (3/06); A2 (1/14; 9/15 (9/15)). Sheet 219 Wolverhampton & Dudley, Stourbridge & Kidderminster Second Series: compiled 1999 A (9/99); A1 § (2/06); A2 (8/08); A2/ (3/13); 9/15 (9/15). Active edition: A1 (3/06); A2 (8/08); A2/ (7/13); 9/15 (9/15). Sheet 220 Birmingham, Walsall, Solihull & Redditch Second Series: compiled 1999: A (12/99); A/ (6/04); A1 § (2/06); A2 (8/08); A2/ (3/12); A2// (6/14); 9/15 (9/15). Active edition: A1 (3/06); A2 (8/08); A2/ (5/12); A2// (10/14); 9/15 (9/15). Sheet 221 Coventry & Warwick, Royal Leamington Spa & Kenilworth Second Series: compiled 1999: A (2/00); A/ (6/04); A1 § (1/06); A1/ (7/08); A1// (1/14 or 7/14); 9/15 (9/15). Active edition: A1 (3/06); A1/ (7/14); 9/15 (9/15). Sheet 222 Rugby & Daventry, Southam & Lutterworth Second Series: compiled 1999: A (1/00); A1 § (1/06); A2 (1/13); 9/15 (9/15). Sheet 223 Northampton & Market Harborough, Brixworth & Pitsford Water Second Series: compiled 1999: A (8/99); A1 § (1/06); A1/ (9/09); 9/15 (9/15). Sheet 224 Corby, Kettering& Wellingborough, Rockingham Forest Second Series: compiled 1999: A (12/99); A1 § (1/06); A2 (3/11); A2/ (7/14); 9/15 (9/15). Active edition: A1 (11/06); A2 (7/11); A2/ (10/14); 9/15 (9/15). Sheet 225 Huntingdon & St Ives, Grafham Water Second Series: compiled 1998: A (3/99); A1 § (2/06); A1/ (12/09); A1// (2/14); 9/15 (9/15). Active edition: A1 (11/06); A1/ (???? ); A1// (7/14); 9/15 (9/15). Sheet 226 Ely & Newmarket, Mildenhall & Soham Second Series: compiled 1999: A (2/00); A1 § (3/06); A2 (9/12); 9/15 (9/15). Sheet 227 Peterborough, March, Whittlesey, Chatteris & Oundle Second Series: compiled 1999: A (7/99); A1 § (4/06); A2 (4/14); 9/15 (9/15). Sheet 228 March & Ely, Chatteris, Littleport, Welney & Denver Sluice Second Series: compiled 1999: A (12/99); A1 § (4/06); A2 (6/14); 9/15 (??). Active edition: A1 (11/06); A2 (10/14); 9/15 (9/15). Sheet 229 Thetford Forest in The Brecks, Thetford & Brandon Second Series: compiled 1999: A (9/99); A1 § (4/06); A2 (12/13); 9/15 (9/15). Active edition: A1 (11/06); A2 (12/13); 9/15 (9/15). Sheet 230 Diss & Harleston, East Harling & Stanton Second Series: compiled 1999: A (6/99); A1 § (4/06); A2 (4/14); 9/15 (9/15). Sheet 231 Southwold & Bungay, Halesworth & Kessingland Second Series: compiled 1998: A (2/99); A1 § (4/06); A1/ ( / ); A2 (4/11); 9/15 (9/15). Active edition: A (3/06); A1 (4/06); A2 (9/11); 9/15 (9/15). Sheet 232 Nuneaton & Tamworth, Lichfield & Atherstone Second Series: compiled 1999: A (1/00); A/ (6/04); A1 § (1/06); A2 (10/12); 9/15 (9/15). Sheet 233 Leicester & Hinckley Second Series: compiled 1999: A (2/00); A1 § (10/05); A2 (5/10); 9/15 (9/15). Active edition: A1 (11/06); A2 (7/10); 9/15 (9/15). Sheet 234 Rutland Water, Stamford & Oakham Second Series: compiled 2001: A1 (2/02); A1/ (10/03); A2 § (3/06); A2/ ( / ); A2// (2/11); 9/15 (9/15). Active edition: A2 (11/06); A2/ (???? ); A2// (5/11); 9/15 (9/15). Sheet 235 Wisbech & Peterborough North, Market Deeping & Crowland Second Series: compiled 1999: A (6/99); A1 § (4/06); A2 (10/11); 9/15 (9/15). Active edition: A1 (11/06); A2 (6/12); 9/15 (9/15). Sheet 236 King's Lynn, Downham Market & Swaffham Second Series: compiled 1999: A (10/99); A1 § (4/06); A2 (2/12); 9/15 (9/15). Sheet 237 Norwich, Wymondham, Attleborough & Watton Second Series: compiled 1998: A (3/99); A1 § (4/06); A1/ (2/08); 9/15 (9/15); 7/18 (9/18). Active edition: A1 (11/06); 7/18 (10/18); 9/15 (9/15); 7/18 (10/18). Sheet 238 East Dereham & Aylsham, Castle Acre & Reepham Second Series: compiled 1999: A (11/99); A1 § (4/06); A2 (4/12), ℘3/12 ◊ (9/15). Sheet 239 Lake Vyrnwy / Lyn Efyrnwy & LLanfyllin Second Series: compiled 1998: A (3/98); A1 § (5/05); A1/ (2/08); 9/15 (9/15). Sheet 240 Oswestry / Croesoswallt, Chirk / Y Waun, Ellesmere & Pant Second Series: compiled 1999: A (1/00); A1 § (5/05); A2 (10/05); A2/ (8/09); 9/15 (9/15). Sheet 241 Shrewsbury, Wem, Shawbury & Baschurch Second Series: compiled 1999: A (11/99); A1 § (11/05); A2 (8/12); 9/15 (9/15). Active edition: A1 (3/06); A2 (2/13); 9/15 (9/15). Sheet 242 Telford, Ironbridge & The Wrekin Second Series: compiled 2000: A (3/00); A1 § (11/05); A1/ (11/08); 9/15 (9/15). Sheet 243 Market Drayton, Loggerheads & Eccleshall Second Series: compiled 2000: A (4/00); A1 § (11/05); A1/ (6/12); 9/15 (9/15). Active edition: A1 (11/06); A1/ (6/12); 9/15 (9/15). Sheet 244 Cannock Chase & Chasewater, Stafford, Rugeley & Cannock Second Series: partially revised 2000: B (3/00); B/ (6/04); B1 § (10/05); B1/ (8/08); B1// (5/14); 9/15 (9/15). Active edition: B1 (3/06); B1/ (? ); B1// (8/14); 9/15 (9/15). Burton upon Trent, Swadlincote, Ashby-de-la-Zouch & Coalville Second Series: compiled 2000: A (3/00); A1 (7/04); A2 § (11/05); A3 (7/08); 9/15 (9/15); 11/17 (12/17). Active edition: A2 (11/06); A3 (7/08); 9/15 (9/15); 11/17 (12/17). Sheet 246 Loughborough, Melton Mowbray & Syston/td> Second Series: compiled 1999: A (2/00); A1 § (10/05); A2 (9/12); 9/15 (9/15); 7/18 (8/18). Active edition: A1 (11/06); A2 (2/13); 7/18 (9/18); 9/15 (9/15); 7/18 (9/18). Sheet 247 Grantham, Bottesford & Colsterworth Second Series: compiled 1999: A (3/00); A1 § (4/06); A1/ (11/13); 9/15 (9/15). Active edition: A1 (11/06); A1/ (7/14); 9/15 (9/15). Sheet 248 Bourne & Heckington, Billingborough & Morton Second Series: compiled 1999: A (1/00); A1 § (4/06); A1/ (5/12); 9/15 (9/15). Sheet 249 Spalding & Holbeach, Long Sutton & Kirton Second Series: compiled 1999: A (3/99); A1 § (4/06); A1/ (9/14); 9/15 (9/15). Sheet 250 Norfolk Coast West, King's Lynn & Hunstanton Second Series: compiled 1996, revised (sc) 2001: A1 (2/02); A2 § (4/06); A2/ ( / ); A3 (7/08); A4 (3/12); A4/ (1/14); 9/15 (9/15). Active edition: A1 (3/06); A2 (4/06); A3 (7/08); A4 (7/12); A4/ (5/14); 9/15 (9/15). Sheet 251 Norfolk Coast Central, Wells-next-the-Sea & Fakenham Second Series: compiled 1996, revised (sc) 2001: A1 (2/02); A1/ ( / ); A2 § (4/06); A2/ ( / ); A3 (7/08); A4 (1/12); 9/15 (9/15). Active edition: A1 (3/06); A2 (4/06); A3 (7/08); A4 (4/12); 9/15 (9/15). Sheet 252 Norfolk Coast East, Cromer & North Walsham Second Series: compiled 1996, revised (sc) 2001: A1 (2/02); A2 § (4/06); A2/ ( / ); A3 (7/08); A4 (2/12); 9/15 (9/15). Active edition: A1 (3/06); A2 (4/06); A3 (7/08); A4 (7/12); 9/15 (9/15). Pwllheli, Abersoch & Aberdaron Second Series: compiled 1996, revised (sc) 2001: A1 (2/02); A2 § (5/05); A2/ (5/07); A3 (1/10); A3/ (9/13); 9/15 (9/15). Active edition: A2 (3/06); A3 (1/11); A3 (6/14); 9/15 (9/15). Porthmadog, Criccieth & Pwllheli. Second Series: compiled 1996, revised (sc) 2001: A1 (2/02); A2 § (5/05); A2/ (7/07); A3 (3/11); A3/; A3// (2/13); 9/15 (9/15). Active edition: A2 (3/06); A3 (???? ); A3/ (7/11); 9/15 (9/15). Sheet 255 Llangollen & Berwyn, Ceiriog Valley / Glyn Ceiriog Second Series: compiled 1999: A (2/00); A1 § (5/05); A2 (10/05); A3 (3/11); 9/15 (9/15). Active edition: A2 (3/06); A3 (7/11); 9/15 (9/15). Sheet 256 Wrexham / Wrecsam & Llangollen Second Series: compiled 2000: A (3/00); A1 § (5/05); A2 (10/05); A3 (1/11); A3/ (2/14); 9/15 (9/15). Active edition: A2 (3/06); A3 (4/11); A3/ (7/14); 9/15 (9/15). Sheet 257 Crewe & Nantwich, Whitchurch & Tattenhall Second Series: compiled 1999: A (1/00); A1 § (11/05); A2 (9/11); A2/ (10/13); 9/15 (9/15). Active edition: A1 (11/06); A2 (2/12); A2/ (1/14); 9/15 (9/15). & Newcastle-under-Lyme, Biddulph & Stone Second Series: compiled 1999: A (3/00); A1 § (11/05); A1/ (9/08), A1// (11/14); 9/15 (9/15); 6/18 (7/18). Active edition: A1 (3/06); 6/18 (8/18); 9/15 (9/15); 7/18 (8/18). Sheet 259 Derby, Uttoxeter, Ashbourne & Cheadle Second Series: compiled 1999: A (2/00); A1 § (10/05); A1/ 2/08); 9/15 (9/15). Sheet 260 Nottingham, Vale of Belvoir Second Series: compiled 1999: A (12/99); A1 § (3/06); A2 (9/08); A2/ (4/14); 9/15 (9/15); 5/17 (7/17). Active edition: A1 (3/06); A2 (9/08); A2/ (8/14); 9/15 (9/15); 5/17 (9/17). Sheet 261 Boston, Tattershall, Billinghay & Heckington Second Series: compiled 1999: A (6/99); A1 § (4/06); A1/ (1/12); 9/15 (9/15). Active edition: A1 (11/06); A1 (6/12); 9/15 (9/15). Sheet 262 Anglesey West / Gorllewin Ynys Môn, Holyhead / Caergybi Second Series: compiled 1999: A (9/99); A1 § (5/05); A2 (1/11); A2/ (9/13); 9/15 (9/15). Active edition: A1 (11/06); A2 (???? ); A2/ (12/13); 9/15 (9/15). Sheet 263 Anglesey East / Dwyrain Ynys Môn, Beaumaris, Amlwch & Menai Bridge / Biwmares, Amlwch & Porthaethwy Second Series: compiled 1999: A (9/99); A1 § (5/05); A1/ (2/07); A1// (11/07); A2 (1/11); A2/ (10/13); 9/15 (9/15). Active edition: A1 (11/06); A2 (1/11); A2/ (12/13); 9/15 (9/15). Rhyl, Denbigh & Ruthin / Rhyl, Dinbych a Rhuthun Second Series: compiled 2000: A (4/00); A1 § (5/05); A1/ (8/07); A1// (7/13); 9/15 (9/15). Active edition: A1 (3/06); A1/ (???? ); A1// (12/13); 9/15 (9/15). Prestatyn, Mold & Ruthin / Prestatyn, Yr Wyddgrug a Rhuthun Second Series: compiled 2000: A (7/00); A1 § (5/05); A2 (4/09); A2/ ( / ); A2// (2/13); 9/15 (9/15). Active edition: A1 (3/06); A2 (4/09); A2/ (4/18); 9/15 (9/15). Sheet 266 Wirral & Chester / Caer Second Series: compiled 2000: A (7/00); A1 § (5/05); A1/ (12/05); A1// (9/08); A2 (6/11); A2/ (4/13); 9/15 (9/15). Active edition: A/ (3/06); A1// (10/11); 9/15 (9/15). Sheet 267 Northwich & Delamere Forest, Winsford & Middlewich Second Series: compiled 2000: A (3/00); A1 § (9/04); A2 (6/11); 9/15 (9/15). Active edition: A1 (3/06); A2 (2/12); 9/15 (9/15). Sheet 268 Wilmslow, Macclesfield & Congleton, Altrincham, Knutsford & Sandbach Second Series: compiled 2000: A (11/00); A1 § (9/04) A2 (11/05); A3 (5/10); 9/15 (9/15). Active edition: A2 (3/06); A3 (7/10); 9/15 (9/15). Sheet 269 Chesterfield & Alfreton, Sutton in Ashfield & Bolsover Second Series: compiled 1999: A (11/99); A1 § (11/05); A2 (10/09); A2/ (3/11); 9/15 (9/15). Active edition: A1 (11/06); A2 (10/09); A2/ (8/11); 9/15 (9/15). Sheet 270 Sherwood Forest, Mansfield, Worksop & Edwinstowe Second Series: compiled 2001: A1 (2/02); A2 § (3/06); A3 (8/08); A3/ (1/14); A3// (3/15); 9/15 (9/15); 10/17 (1/18). Active edition: A2 (3/06); A3 (8/08); A3/ (1/14); 10/17 (2/18); 9/15 (9/15); 10/17 (1/18)? Sheet 271 Newark-on-Trent, Retford, Southwell & Saxilby Second Series: compiled 1999: A (2/00); A1 (2/02); A1 § (4/06); A1/ (1/11); A1// (4/14); 9/15 (9/15). Active edition: A1 (11/06); A1/ (5/11); A1// (8/14); 9/15 (9/15). Sheet 272 Lincoln, Sleaford, Metheringham & Navenby Second Series: compiled 1999: A (2/00); A/ (5/00); A1 § (4/06); A2 (5/13); 9/15 (9/15). Active edition: A1 (11/06); A2 (6/13); 9/15 (9/15). Sheet 273 Lincolnshire Wolds South, Horncastle & Woodhall Spa Second Series: compiled 1999: A (6/99); A1 § (4/06); A2 (4/14); 9/15 (9/15). Sheet 274 Skegness, Alford & Spilsby, Chapel St Leonards & Wainfleet All Saints Second Series: compiled 1999: A (3/00); A1 § (4/06); A1/ ( / ); A1// (2/14); 9/15 (9/15). Active edition: A1 (11/06); A1/ (4/11); A1// (4/14); 9/15 (9/15). Sheet 275 Liverpool, St Helens, Widnes & Runcorn Second Series: compiled 2000: A (4/00); A1 § (9/04); A1/ (12/04); A1[/]/ (9/08); A2 (8/11); 9/15 (9/15); 7/18 (7/18). Active edition: A1 (11/06); A2 (2/12); 6/18 (8/18); 9/15 (9/15); 7/18 (8/18). Sheet 276 Bolton, Wigan & Warrington Second Series: compiled 2000: A (11/00); A/ (3/01); A1 § (9/04); A2 (4/07); A3 (8/11); 9/15 (9/15). Active edition: A1/ (11/06); A2 (4/07); A3 (2/12); 9/15 (9/15). Sheet 277 Manchester & Salford, Oldham, Rochdale & Stockport Second Series: compiled 2001: A (4/01); A/ (10/01); A1 § (9/04); A2 (4/07); A3 (9/10); A3/ (5/14); 9/15 (9/15). Active edition: A1 (3/06); A2 (3/07); A3 (3/11); A// (8/14); 9/15 (9/15). Sheet 278 Sheffield & Barnsley, Rotherham Second Series: compiled 2000: A (3/00); A1 § (2/06); A2 (12/08); A2/ (6/14); 9/15 (9/15). Active edition: A1 (11/06); A2 (12/08); A2/ (8/14); 9/15 (9/15). Sheet 279 Doncaster, Conisbrough, Maltby & Thorne Second Series: compiled 2000: A (7/00); A1 § (2/06); A1/ (9/11); 9/15 (9/15). Active edition: A1 (11/06); A1/	(1/12); 9/15 (9/15). Sheet 280 Isle of Axholme, Scunthorpe & Gainsborough Second Series: compiled 2000: A (4/00); A1 § (2/06); A2 (4/13); 9/15 (9/15). Barton-upon-Humber, Brigg, Scunthorpe & Kirton in Lindsey Second Series: compiled 1999: A (3/00); A1 § (2/06); A2 (10/12); 9/15 (9/15). Sheet 282 Lincolnshire Wolds North, Louth & Market Rasen Second Series: compiled 1999: A (3/99); A1 § (4/06); A1/ (9/12); 9/15 (9/15). Active edition: A1 (11/06); A1/ (???? ); A1// (2/13); 9/15 (9/15). Sheet 283 Louth & Mablethorpe, Sutton on Sea & North Somercotes Second Series: compiled 1999: A (7/99); A1 § (4/06); A2 (2/14); 9/15 (9/15). Active edition: A1 (11/06); A2 (7/14); 9/15 (9/15). Sheet 284 Grimsby, Cleethorpes & Immingham, Caistor & North Thoresby Second Series: compiled 2000: A (4/00); A1 § (4/06); A1/ (2/15); 9/15 (9/15). Active edition: A1 (11/06; 9/15 (9/15)). Sheet 285 Southport & Chorley, Wigan, Formby & Ormskirk Second Series: compiled 2000: A (2/01); A1 § (9/04); A1/ (7/07); A2 (9/13); 9/15 (9/15). Sheet 286 Blackpool & Preston, Lytham St Anne's & Leyland Second Series: compiled 2000: A (11/00); A1 § (9/04); A1/ (1/05); A1// (9/08); A2 (1/15); 9/15 (9/15). Sheet 287 West Pennine Moors, Blackburn, Darwen & Accrington Second Series: compiled 2000: A1 (12/00); A2 § (9/04); A3 (10/08); 9/15 (9/15). Active edition: A2 (3/06); A3 (10/08); 9/15 (9/15). Sheet 288 Bradford & Huddersfield, East Calderdale Second Series: compiled 1999: A (8/99); A1 § (9/04); A2 (1/06); A2/ (11/07); A3 (8/11); 9/15 (9/15). Active edition: A2 (3/06); A3 (9/11); 9/15 (9/15). Sheet 289 Leeds, Harrogate, Wetherby & Pontefract Second Series: compiled 2000: A (3/00); A1 § (4/06); A1/ ( / ); A1/ (7/07); A2 (4/10); A2/ (11/13); 9/15 (9/15). Active edition: A (3/06); A1 (4/06); A2 (6/10); A2/ (12/13); 9/15 (9/15). Sheet 290 York, Selby & Tadcaster Second Series: compiled 2000: A (11/00); A1 § (4/06); A1/ ( / ); A2 (10/12); 9/15 (9/15). Active edition: A (3/06); A1 (4/06); A2 (1/13); 9/15 (9/15). Sheet 291 Goole & Gilberdyke, Holme-on-Spalding-Moor, Hemingbrough & Howden Second Series: compiled 2000: A (9/00); A1 § (4/06); A1/ (10/13); 9/15 (9/15). Sheet 292 Withernsea & Spurn Head Second Series: compiled 1999: A (3/99); A1 § (4/06); A1/ (3/08); 9/15 (9/15). Sheet 293 Kingston upon Hull & Beverley Second Series: compiled 2000: A (11/00); A1 § (4/06); A1/ (2/10); 9/15 (9/15). Sheet 294 Market Weighton & Yorkshire Wolds Central, Pocklington Second Series: compiled 2000: A (9/00); A1 § (4/06); A1/ (9/11); 9/15 (9/15). Active edition: A1 (11/16); A1/ (2/12); 9/15 (9/15). Sheet 295 Bridlington, Driffield & Hornsea Second Series: compiled 1999: A (3/00); A1 § (4/06); A1/ (8/07); A2 (10/13); 9/15 (9/15). Sheet 296 Lancaster, Morecambe & Fleetwood Second Series: compiled 2000: A (10/00); A1 § (9/04); A2 (7/10); 9/15 (9/15); 6/17 (9/17). Active edition: A1 (11/06); A2 (10/10); 9/15 (9/15); 6/17 (10/17). Sheet 297 Lower Wharfedale & Washburn Valley, Harrogate & Ilkley Moor Second Series: compiled 2000: A (9/00); A/ ( / ). partially revised 2003: B (1/04); B1 § (5/05); B2 (1/06); B3 (5/10); B3/ (2/14); 9/15 (9/15). Active edition: B2 (3/06); B3 (8/10); B3/ (???? ); B3// (4/14); 9/15 (9/15). Sheet 298 Nidderdale, Fountains Abbey, Ripon & Pateley Bridge Second Series: compiled 1997, Rsc 1999: A/ (10/00). partially revised 2003: B (10/03); B1 § (5/05); B1/ (5/08); B2 (9/13); 9/15 (9/15). Sheet 299 Ripon & Boroughbridge, Easingwold Second Series: compiled 2000: A (1/01); A1 § (8/05); A1/ (5/08); A1// (5/14); 9/15 (9/15). Active edition: A1 (11/06); A1/ (? ); A1// (9/14); 9/15 (9/15). Sheet 300 Howardian Hills & Malton, Yorkshire Wolds North Second Series: compiled 2000: A (6/00); A1 § (8/05); A2 (1/06); A3 (3/13); 9/15 (9/15). Active edition: A2 (3/06); A3 (4/18); 9/15 (9/15). Sheet 301 Scarborough, Bridlington & Flamborough Head Second Series: compiled 2000: A (7/00); A1 § (8/05); A2 (1/06); A2/ (7/09); 9/15 (9/15); 8/17 (10/17). Active edition: A2 (11/06); 9/15 (9/15); 8/17 (10/17)? Sheet 302 Northallerton & Thirsk, Catterick & Bedale Second Series: compiled 2000: A (1/01); A1 § (7/05); A2 (3/09); A2/ (1/14); 9/15 (9/15); 8/18 (10/18). Active edition: A1 (11/06); A2 (3/09); A2/ (5/14); 8/18 (12/18); 9/15 (9/15); 8/18 (12/18). Sheet 303 Whitehaven & Workington, Cockermouth & Egremont Second Series: compiled 2000: A (2/01); A1 § (5/05); A2 (2/08); A2/ (10/09); A2// (1/12); A3 (1/15); 9/15 (9/15). Active edition: A1 (11/06); A2 (2/08); A2/ (???? ); A2// (5/12); 9/15 (9/15). Sheet 304 Darlington & Richmond, Egglescliffe & Gainford Second Series: compiled 2000: A (12/00); A1 § (7/05); A2 (3/09); 9/15 (9/15). Active edition: A1 (3/06); A2 (3/09); 9/15 (9/15). Sheet 305 Bishop Auckland, Spennymoor, Newton Aycliffe, Sedgefield & Crook Second Series: compiled 2000: A (1/01); A1 § (7/05); A2 (3/09); A2/ (6/14); 9/15 (9/15). Active edition: A1 (3/06); A2 (3/09); A2/ (10/14); 9/15 (9/15). Sheet 306 Middlesbrough & Hartlepool, Stockton-on-Tees & Redcar Second Series: compiled 1999: A (3/00); A1 § (7/05); A2 (6/07); 9/15 (9/15). Active edition: A1 (11/06); A2 (6/07); 9/15 (9/15). Sheet 307 Consett & Derwent Reservoir, Stanhope Second Series: compiled 2000: A (2/01); A1 § (5/05); A1/ (4/11); 9/15 (9/15). Active edition: A1 (3/06); A1/ (2/12); 9/15 (9/15). Sheet 308 Durham & Sunderland, Chester-le-Street & Peterlee Second Series: compiled 2000: A (12/00); A1 § (7/05); A2 (4/08); A3 (10/11); A3/ (12/14); 9/15 (9/15). Active edition: A1/ (11/06); A2 (4/08); A3 (2/12); 9/15 (9/15). Sheet 309 Stranraer & The Rhins Second Series: compiled 2000: A (3/01); A1 (8/06); A2 (5/14); 9/15 (9/15). Active edition: A1 (11/06); A2 (8/14); 9/15 (9/15). Sheet 310 Glenluce & Kirkcowan Second Series: compiled 2000: A (2/01); A1 (8/06); 9/15 (9/15). Sheet 311 Wigtown, Whithorn & The Machars Second Series: compiled 2001: A (4/01); A1 (8/06); 9/15 (9/15). Sheet 312 Kirkcudbright & Castle Douglas, Gatehouse Of Fleet Second Series: compiled 2000: A (3/01); A1 (8/06); 9/15 (9/15). Sheet 313 Dumfries & Dalbeattie, New Abbey & Mabie Forest Second Series: compiled 2000: A (11/00); A1 (8/06); A2 (11/13); 9/15 (9/15). Active edition: A1 (11/06); A2 (7/14); 9/15 (9/15). .
Sheet 314 Solway Firth, Wigton & Silloth Second Series: compiled 2000: A (3/00); A/ (5/03); A1 § (5/05); A2 (8/06); A3 (9/13); 9/15 (9/15). Active edition: A2 (11/06); A3 (6/14); 9/15 (9/15). Sheet 315 Carlisle, Brampton, Longtown & Gretna Green Second Series: compiled 2000: A (10/00); A/ (5/03); A1 § (6/05); A2 (8/06); A2/ (10/07); A2// (7/10); 9/15 (9/15). Active edition: A2 (11/06); A2/ (???? ); A2// (4/11); 9/15 (9/15). Sheet 316 Newcastle upon Tyne, Gateshead, South Shields, Prudhoe,Ponteland, Cramlington & Whitley Bay Second Series: compiled 2000: A (8/00); A/ (5/03); A1 § (7/05); A2 (11/12); A2/ (8/14); 9/15 (9/15). Active edition: A1 (3/06); A2 (? ); A2/ (11/14); 9/15 (9/15). Sheet 317 Ballantrae, Bar & Barrhill Second Series: compiled 2000: A (2/01); A1 (8/06); 9/15 (9/15). Glen Trool, Loch Doon & St John's Town of Dalry Second Series: compiled 2001: A (2/02); A1 (8/06); 9/15 (9/15). Active edition: A (3/06); A1 (8/06); 9/15 (9/15). Replaces part of OLM 32. Glen Trool, Clatteringshaws Loch & Newton Stewart Second Series: compiled 2001: A (2/02); A1 (8/06); A2 (1/14); 9/15 (9/15). Active edition: A (3/06); A1 (8/06); A2 (1/14); 9/15 (9/15). Sheet 320 Castle Douglas, Loch Ken & New Galloway, St John's Town of Dalry & Moniaive Second Series: compiled 2000: A (3/01); A1 (8/06); 9/15 (9/15). Sheet 321 Nithsdale & Dumfries, Thornhill Second Series: compiled 2000: A (10/00); A1 (8/06); A2 (6/13); 9/15 (9/15). Sheet 322 Annandale, Annan, Lockerbie & Beattock Second Series: compiled 2000: A (12/00); A1 (8/06); A1/ (9/12); A1// (?3/15); 9/15 (9/15). Sheet 323 Eskdale & Castle O'er Forest, Langholm, Canonbie & Gretna Green Second Series: compiled 2000: A (8/00); A1 § (8/05); A2 (8/06); A3 (6/09); 9/15 (9/15). Active edition: A2 (11/06); A3 (6/09); 9/15 (9/15). Sheet 324 Liddesdale & Kershope Forest, Newcastleton & Canonbie Second Series: compiled 2000: A (11/00); A1 § (8/05); A2 (8/06); 9/15 (9/15). Active edition: A2 (11/06); 9/15 (10/15). Sheet 325 Morpeth & Blyth, Ashington & Longframlington Second Series: compiled 2000: A (12/00); A1 § (7/05); A2 (6/09); 9/15 (9/15). Active edition: A1 (11/06); A2 (6/09); 9/15 (9/15). Sheet 326 Ayr & Troon, Girvan & Maybole Second Series: compiled 2000: A (3/01); A1 (10/06); A1/ (5/12); 9/15 (9/15). Sheet 327 Cumnock & Dalmellington, Mauchline & Patna Second Series: compiled 2000: A (3/01); A1 (8/06); A1/ (6/14); 9/15 (9/15). Active edition: A1 (11/06); A1/ (10/14); 9/15 (9/15). Sheet 328 Sanquhar & New Cumnock, Muirkirk & Moniaive Second Series: compiled 2000: A (2/01); A1 (8/06); 9/15 (9/15). Sheet 329 Lowther Hills, Sanquhar & Leadhhills, Wanlockhead & Crawford Second Series: compiled 2001: A (3/01); A1 (8/06); A2 (7/14); 9/15 (9/15). Sheet 330 Moffat & St Mary's Loch, Megget Reservoir Second Series: compiled 2001: A (4/01); A1 (8/06); A1/ (9/14); 9/15 (9/15). Active edition: A1 (11/06); A1/ (3/15); 9/15 (9/15). Sheet 331 Teviotdale South, Hawick Second Series: compiled 2000: A (3/01); A1 (10/06); 9/15 (9/15). Active edition: A (3/06); A1 (10/06); 9/15 (9/15). Sheet 332 Alnwick & Amble, Craster & Whittingham Second Series: compiled 2000: A (11/00); A1 § (8/05); A2 (6/09); 9/15 (9/15). Active edition: A1 (3/06); A2 (6/09); 9/15 (9/15). Sheet 333 Kilmarnock & Irvine, Stewarton & Beith Second Series: compiled 2000: A (3/01); A1 (11/06); 9/15 (9/15). Sheet 334 East Kilbride, Galston & Darvel, Loudoun Hill & Whitelee Forest Second Series: compiled 2000: A (3/01); A1 (1/07); A1/ (9/10); 9/15 (9/15). Active edition: A (11/06); A1 (1/07); A1/ (4/11); 9/15 (9/15). Sheet 335 Lanark & Tinto HIlls, Lesmahagow & Douglas Second Series: compiled 2000: A (3/01); A1 (1/07); 9/15 (9/15). Active edition: A (11/06); A1 (1/07); 9/15 (9/15). Sheet 336 Biggar & Broughton, Culter Fell & Dollar Law Second Series: compiled 2000: A (3/01); A1 (11/06); 9/15 (9/15). Sheet 337 Peebles & Innerleithen, Eddleston, Ettrickbridge. Traquair & Yarrow Second Series: compiled 2001: A (3/02); A1 (1/07); 9/15 (9/15). Replaces part of OLM 44. Sheet 338 Galasheils, Selkirk & Melrose, St Boswell's & Lauder Second Series: compiled 2001: A (3/02); A1 (1/07); 9/15 (5/15); 04/17 (04/17). Active edition: A (11/06); A1 (1/07); 9/15 (9/15); 04/17 (04/17)? Sheet 339 Kelso, Coldstream & Lower Tweed Valley Second Series: compiled 2000: A (12/00); A1 § (7/05); A2 (1/07); 9/15 (9/15). Active edition: A1 (11/06); A2 (1/07); 9/15 (9/15). Sheet 340 Holy Island & Bamburgh, Wooler, Belford & Seahouses Second Series: compiled 2000: A (8/00); A1 § (8/05); A2 (6/09); 9/15 (9/15). Sheet 341 Greenock, Largs & Millport, Clyde Muirshiel Regional Park Second Series: compiled 2000: A (3/01); A1 (11/06); 9/15 (9/15). Active edition: A (3/06); A1 (11/06); 9/15 (9/15). Sheet 342 Glasgow, Paisley, Rutherglen & Kirkintilloch Second Series: compiled 2000: A (4/01); A/ (7/04); A1 (11/06); A2 (6/10); A3 (4/13); A4 (6/14); 9/15 (9/15). Active edition: A/ (3/06); A1 (11/06); A2 (9/10); A3 (4/13); A4 (6/14); 9/15 (9/15). Sheet 343 Motherwell & Coatbridge, Whitburn & Carluke Second Series: compiled 2001: A (4/01); A/ (7/04); A1 (1/07); 9/15 (9/15). Sheet 344 Pentland Hills, Penicuik & West Linton Second Series: compiled 2000: A (3/01); A/ (3/04); A1 (11/06); A2 (10/13); 9/15 (9/15). Active edition: A/ (3/06); A1 (11/06); A2 (1/14); 9/15 (9/15). Sheet 345 Lammermuir Hills, Dalkeith, Bonnyrigg & Gifford Second Series: compiled 2000: A (4/01); A1 (8/06); A1/ (3/09); 9/15 (9/15); 6/17 (9/17). Active edition: A1 (11/06); 9/15 (9/15); 6/17 (12/17). Sheet 346 Berwick-upon-Tweed, Eyemouth, Duns, St Abb's Head & Cockburnspath Second Series: compiled 2000: A (11/00); A1 § (8/05); A2 (1/07); A3 (7/14); 9/15 (9/15). Active edition: A1 (11/06); A2 (1/07); A3 (10/14); 9/15 (9/15). Sheet 347 Loch Lomond South, Dumbarton & Helensburgh, Drymen & Cove Second Series: compiled 2001: A (10/01); A/ (4/04); A1 ( / ); A1/ (4/04); A2 (1/11). Active edition: A/ (3/06); A1 (11/06); A2 (4/11). Replaces part of OLM 39. Later replaced by OL38. Sheet 348 Campsie Fells, Kilsyth, Strathblane & Fintry Second Series: compiled 2001: A (3/01); A/ (4/04); A1 (1/07); A2 (11/13); 9/15 (9/15). Active edition: A (11/06); A1 (1/07); A2 (1/14); 9/15 (9/15). Sheet 349 Falkirk, Cumbernauld & Livingston, Linlithgow, Bathgate & Kilsyth Second Series: compiled 2001: A (4/01); A1 (11/06); A2 (4/10); A3 (9/13); 9/15 (9/15). Sheet 350 Edinburgh, Musselburgh & Queensferry Second Series: compiled 2000: A (4/01); A/ (12/03); A1 (8/06); A2 (3/10); 9/15 (9/15); 5/17 (7/17). Active edition: A/ (3/06); A1 (8/06); A2 (4/10); 9/15 (9/15); 5/17 (9/17). Sheet 351 Dunbar & North Berwick, Musselburgh & Haddington Second Series: compiled 2001: A (4/01); A1 (8/06); A1/ (7/09); A1// (2/15); 9/15 (9/15). Sheet 352 Islay South, Port Ellen, Bowmore & Bridgend / Port Eilein, Bogh Mor & Beul An Atha Second Series: compiled 2001: A (5/01); A1 (10/06); 9/15 (9/15). Active edition: A (11/06); 9/15 (9/15). Sheet 353 Islay North, Port Askaig, Bridgend & Port Charlotte / Port Asgaig, Beul an Atha & Port Sgioba Second Series: compiled 2001: A (5/01); A1 (10/06); 9/15 (9/15). Sheet 354 Colonsay & Oransay Second Series: compiled 2001: A (6/01); A1 (10/06); A1/ (6/09); 9/15 (9/15). Sheet 355 Jura & Scarba Second Series: compiled 2001: A (10/01); A1 (10/06); 9/15 (9/15). Sheet 356 Kintyre South, Campbeltown Second Series: compiled 2001: A (4/01); A1 (10/06); A1/ (2/08); 9/15 (9/15). Sheet 357 Kintyre North, Knapdale South & Isle of Gigha, Tarbert Second Series: compiled 2001: A (12/01); A1 (9/06); A2 (7/11); A2/ (2/15); 9/15 (9/15). Sheet 358 Lochgilphead & Knapdale North, Kilmartin Second Series: compiled 2001: A (1/02); A1 (10/06); 9/15 (9/15). Sheet 359 Oban, Kerrera & Loch Melfort, The Garvellachs Second Series: compiled 2001: A (2/02); A1 (1/07); 9/15 (9/15). Active edition: A (3/06); A1 (1/07); 9/15 (9/15). Sheet 360 Loch Awe & Inveraray, Dalmally, Dalavich & Furnace Second Series: compiled 2002: A (7/02); A1 (1/07); 9/15 (9/15). Sheet 361 Isle of Arran Second Series: compiled 2001: A (7/01); A1 (11/06); A2 (5/10); 9/15 (9/15). Active edition: A (3/06); A1 (11/06); A2 (8/10); 9/15 (9/15). Sheet 362 Cowal West & Isle of Bute, Rothesay Second Series: compiled 2001: A (6/01), A/ ( / ); A1 (11/06); 9/15 (9/15). Sheet 363 Cowal East, Dunoon & Inverary Second Series: compiled 2001: A (6/01); A/ (7/04); A1 (1/07). Active edition: A/ (11/06); A1 (1/07). Sheet 364 Loch Lomond North, Tyndrum, Crianlarich & Arrochar Second Series: compiled 2001: A (10/01); A/ (6/06); A1 (1/07). Active edition: A (3/06); A/ (6/06); A1 (1/07); A2 (12/10). Replaces part of OLM 39. Later replaced by OL39. Sheet 365 The Trossachs, Callander, Aberfoyle & Lochearnhead, Balquhidder & Strathyre Second Series: compiled 2001: A (8/01); A1 (1/07); A2 (9/10); A1 (1/07); A2 (1/11).? Active edition: A (3/06); A1 ( &NBSP; / &NBSP; ); A2 (1/11). Replaces sheet 11. Replaced by OL46. Sheet 366 Stirling & Ochil Hills West, Alloa & Dunblane Second Series: compiled 2001: A (10/01); A1 (1/07); 1/15 (05/15); 9/15 (9/15). Sheet 367 Dunfermline, Kirkcaldy & Glenrothes South, Methil & Culross Second Series: compiled 2001: A (11/01); A1 (3/07); 9/15 (9/15); 5/17 (??/17). Active edition: A (11/06); A1 (4/07); 9/15 (9/15); 5/17 (9/17). Sheet 368 Crieff, Comrie & Glen Artney, Strathearn & Auchterarder Second Series: compiled 2001: A (11/01); A/ (6/06); A1 (3/07), A2 (5/13); 9/15 (9/15). Active edition: A (11/06); A1 (3/07); 9/15 (9/15). Sheet 369 Perth & Kinross, Ochil Hills East & Loch Leven Second Series: compiled 2001: A (5/01); A1 (3/07); A2 (5/13); 9/15 (9/15). Active edition: A (11/06) A1 (3/07); 9/15 (9/15). Sheet 370 Glenrothes North, Falkland & Lomond Hills, Auchtermuchty & Cupar Second Series: compiled 2000: A (6/01); A1 (3/07); 9/15 (9/15). Active edition: A (3/06) A1 (3/07); 9/15 (9/15). Sheet 371 St Andrews & East Fife, Cupar, Anstruther & Crail Second Series: compiled 2001: A (10/01); A1 (3/07); 9/15 (9/15). Active edition: A (3/06); A1 (4/07); 9/15 (9/15). Sheet 372 Coll & Tiree Second Series: compiled 2001: A (3/02); A1 (1/07); 9/15 (9/15). Sheet 373 Iona, Staffa & Roll of Mull Second Series: compiled 2002: A (8/02); A1 (1/07); 9/15 (9/15). Sheet 374 Isle of Mull North & Tobermory, Ulva, Staffa & Treshnish Isles Second Series: compiled 2002: A (7/02); A1 (1/07); 9/15 (9/15). Sheet 375 Isle of Mull East,Craignure Second Series: compiled 2002: A (8/02); A1 (1/07); 9/15 (9/15). Sheet 376 Oban & North Lorn, Benderloch, Lismore & Loch Creran Second Series: compiled 2002: A (10/02); A1 (1/07); 9/15 (9/15). Sheet 377 Loch Etive & Glen Orchy, Dalmally, Tyndrum, Bridge of Orchy & Taynuilt Second Series: compiled 2001: A (2/02); A1 (1/07); A2 (3/12); 9/15 (9/15). Active edition: A (3/06); A1 (1/07); A2 (7/12); 9/15 (9/15). Replaces part of OLM 38. Sheet 378 Ben Lawers & Glen Lyon, Loch Tay, Killin & Kenmore Second Series: compiled 2001: A (1/02); A/ (11/03); A1 (1/07); A2 (4/12). Active edition: A/ (3/06); A1 (1/07); A2 (6/12); 9/15 (9/15). Sheet 379 Dunkeld, Aberfeldy & Glen Almond Second Series: compiled 2001: A (12/01); A1 (3/07); A2 (6/14); 9/15 (9/15). Active edition: A (11/06) A1 (3/07); A2 (10/14); 9/15 (9/15). Sheet 380 Dundee & Sidlaw Hills Second Series: compiled 2001: A (8/01); A1 (5/07); 9/15 (9/15). Active edition: A (11/06); A1 (5/07); 9/15 (9/15). Sheet 381 Blairgowrie, Kirriemuir & Glamis, Strathmore West Second Series: compiled 2001: A (11/01); A1 (5/07); A2 (2/13); 9/15 (9/15). Sheet 382 Arbroath, Montrose & Carnoustie, Laurencekirk Second Series: compiled 2001: A (10/01); A1 (5/07); A2 (7/14); 9/15 (9/15). Active edition: A (11/06); A1 (5/07); A2 (10/14); 9/15 (9/15). Sheet 383 Morvern & Lochaline, Kingairloch Second Series: compiled 2002: A (9/02); A/ (8/03); A1 (1/07); A1/ (7/14); 9/15 (9/15). Active edition: A/ (11/06); A1 (? ); A1/ (10/14); 9/15 (9/15). Sheet 384 Glen Coe, Ballachulish & Kinlochleven Second Series: compiled 2001: A (2/02); A1 (1/07); A1/ (10/10); A1// (3/12); 9/15 (9/15). Active edition: A (3/06); A1/ (4/11); A// (4/12); 9/15 (9/15). Sheet 385 Rannock Moor & Ben Alder,Loch Rannoch Second Series: compiled 2001: A (1/02); A1 (5/07); A2 (4/12); 9/15 (9/15). Active edition: A (3/06); A1 (5/07); A2 (7/12); 9/15 (9/15). Sheet 386 Pitlochry & Loch Tummel, Aberfeldy, Kinloch Rannoch & Schiehallion Second Series: compiled 2001: A (10/01); A1 (5/07); A1/ (9/10). Active edition: A (3/06); A1 (5/07). Replaces sheet 21. Replaced by OL49. Sheet 387 Glen Shee & Braemar, The Cairnwell & Glas Maol Second Series: compiled 2001: A (12/01); A/ (6/04); A1 (5/07); A1 (5/07). Sheet 388 Lochnagar, Glen Muick & Glen Clova, Ballater & Balmoral Second Series: compiled 2001: A (1/02); A/ (6/04); A1 (5/07); A1/ (10/09). Active edition: A/ (3/06); A1 (5/07). Sheet 389 Forfar, Brechin & Edzell, Strathmore East Second Series: compiled 2001: A (3/02); A1 (5/07); 9/15 (9/15). Sheet 390 Arnamurchan, Moidart, Sunart & Loch Shiel Second Series: compiled 2001: A (2/02); A/ (8/03); A1 (5/07); 9/15 (9/15). Active edition: A/ (11/06); A1 (5/07); 9/15 (9/15). Sheet 391 Ardgour & Strontian, Glenfinnan, Loch Eil & Loch Shiel Second Series: compiled 2001: A (3/02); A1 (5/07); 9/15 (9/15). Active edition: A (3/06); A1 (5/07); 9/15 (9/15). Sheet 392 Ben Nevis & Fort William, The Mamores & The Grey Corries, Kinlochleven & Spean Bridge Second Series: compiled 2001: A (2/02); A/ (2/02); A// (11/05); A1 (5/07); A2 (12/09); 9/15 (9/15); 4/16 (5/16). Active edition: A// (3/06); A1 (5/07); A2 (12/09); 9/15 (9/15); 4/16 (5/16)? Sheet 393 Ben Alder, Loch Ericht & Loch Laggan, Dalwhinnie Second Series: compiled 2001: A (12/01); A1 (5/07); A2 (4/12). Active edition: A (11/06); A1 (5/07); A2 (8/12). Sheet 394 Atholl, Glen Tilt, Beinn Dearg & Carn nan Gabhar Second Series: compiled 2001: A (1/02); A/ (3/04); A1 (5/07); A1/ (7/12); A1// (?/13). Active edition: A/ (11/06); A1 (5/07); A1/ (???? ); A1// (2/13). Sheet 395 Glen Esk & Glen Tanar, Aboyne & Mount Keen Second Series: compiled 2001: A (12/01); A/ (12/05); A1 (7/07); A1/ (3/12). Active edition: A/ (11/06); A1 (7/07). Sheet 396 Stonehaven, Inverbervie & Laurencekirk, Howe of the Mearns Second Series: compiled 2002: A (10/02); A1 (7/07); 9/15 (9/15). Active edition: A (11/06); A1 (7/07); A1/ (7/12); 9/15 (9/15). Sheet 397 Rum, Eigg, Muck, Canna & Sanday Second Series: compiled 2002: A (10/02); A1 (5/07); 9/15 (9/15). Sheet 398 Loch Morar & Mallaig Second Series: compiled 2002: A (8/02); A/ (8/03); A1 (7/07); A1/ (7/09); 9/15 (9/15). Active edition: A/ (3/06); A1 (7/07); 9/15 (9/15). Sheet 399 Loch Arkaig, Fort William & Corpach. Gairlochy, Achnacarry & Kingie Second Series: compiled 2002: A (7/02); A1 (7/07); 9/15 (9/15). Active edition: A (11/06); A1 (7/07); 9/15 (9/15). Sheet 400 Loch Lochy & Glen Roy, Spean Bridge, Invergarry & Fort Augustus Second Series: compiled 2001: A (3/02); A1 (7/07); A1/ (4/12); 9/15 (9/15). Active edition: A (3/06); A1 (7/07); A1/ (8/12); 9/15 (9/15). Sheet 401 Loch Laggan & Creag Meagaidh, Corrieyairack Pass Second Series: compiled 2002: A (5/02); A1 (6/07); A2 (4/10). Active edition: A (11/06); A1 (6/07); A2 (6/10). Sheet 402 Badenoch & Upper Strathspey, Kingussie & Newtonmore Second Series: compiled 2001: A (12/01); A[/] (11/03); A1 (7/07). Active edition: A (11/06); A1 (7/07). Sheet 403 Cairn Gorm & Aviemore, Loch Morlich Second Series: compiled 2001: A (3/02); A/ ( / ); A// (3/04); A1 (7/07); A2 ( 10/11). Active edition: A/ (3/06); A1 (7/07); A2 (10/11). Replaces part of OLM 3. Replaced by OL57. Sheet 404 Braemar, Tomintoul, Glen Avon, Beinn a' Bhuird & Ben Avon Second Series: compiled 2002: A (3/02); A1 (7/07). Active edition: A(3/06); A1 (7/07). Replaces part of OLM 3. Replaced by OL58. Sheet 405 Aboyne, Alford & Strathdon Second Series: compiled 2002: A (4/02); A1 (7/07); A1/ (4/10). Active edition: A (3/06); A1 (7/07); A1/ (4/10). Sheet 406 Aberdeen & Banchory Second Series: compiled 2002: A (10/02); A1 (7/07); 9/15 (9/15). Active edition: A (3/06); A1 (7/07); 9/15 (9/15). Sheet 407 Skye - Dunvegan, Waternish & Macleod's Tables / Healabhal Second Series: compiled 2002: A (9/02); A/ (8/03); A1 (9/07); 9/15 (9/15). Active edition: A/ (11/06); A1 (9/07); 9/15 (9/15). Sheet 408 Skye - Trotternish & The Storr, Uig Second Series: compiled 2002: A (9/02); A1 (9/07); 9/15 (9/15). Active edition: A (11/06); A1 (9/07); 9/15 (9/15). Sheet 409 Raasay, Rona & Scalpay Second Series: compiled 2002: A (9/02); A/ (8/03); A1 (9/07); 9/15 (9/15). Sheet 410 Skye Portree & Bracadale Second Series: compiled 2002: A (9/02); A1 (9/07); 9/15 (9/15). Sheet 411 Skye - Cullin Hills, Soay Second Series: compiled 2001: A (3/02); A1 (9/07); 9/15 (9/15). Active edition: A (3/06); A1 (9/07); 9/15 (9/15). Replaces part of OLM 8. Sheet 412 Skye - Sleat, Broadford, Kyleakin & Armadale Second Series: compiled 2002: A (9/02); A1 (8/07); 9/15 (9/15). Active edition: A (11/06); A1 (8/07); 9/15 (9/15). Sheet 413 Knoydart, Loch Hourn & Loch Duich, Kyle of Lochalsh Second Series: compiled 2002: A (10/02); A/ (3/04); A1 (9/07); 9/15 (9/15). Active edition: A/ (3/06); A1 (9/07); 9/15 (9/15). Sheet 414 Glen Shiel & Kintail Forest, Shiel Bridge, Morvich, Killilan & Kinloch Hourn Second Series: compiled 2002: A (9/02); A/ (8/03); A1 (7/07); 9/15 (9/15). Sheet 415 Glen Affric & Glen Moriston, Cannich Second Series: compiled 2002: A (9/02); A1 (7/07); A1/ (6/12); A1// (10/14); 9/15 (9/15). Sheet 416 Inverness, Loch Ness & Culloden, Fort Augustus & Drumnadrochit Second Series: compiled 2002: A (10/02); A1 (9/07); A2 (2/14); 9/15 (9/15). Active edition: A (3/06); A1 (9/07); A2 (7/14); 9/15 (9/15). Sheet 417 Monahliath Mountains North & Strathdearn Second Series: compiled 2002: A (12/02)); A1 (9/07); 9/15 (9/15). Sheet 418 Lochindorb, Grantown-on-Spey & Carrbridge Second Series: compiled 2002: A (10/02); A1 (9/07). Active edition: A (11/06); A1 (9/07). Sheet 419 Grantown-on-Spey & Hills of Cromdale, Upper Knockando & Tomnavoulin Second Series: compiled 2002: A (12/02); A/ (12/02); A1 (9/07). Active edition: A/ (11/06); A1 (9/07). Sheet 420 Correen Hills & Glenlivet, Bennachie & Ladder Hills, Insch & Rhynie Second Series: compiled 2002: A (4/02); A/ (7/04); A1 (9/07). Sheet 421 Ellon & Inverurie,Oldmeldrum & Pitmedden Second Series: compiled 2002: A (9/02); A1 (9/07); 9/15 (9/15). Sheet 422 Nairn & Cawdor, Darnaway Forest, Ardersier & Culloden Muir/td> Second Series: compiled 2002: A (10/02); A1 (9/07); 9/15 (9/15). Sheet 423 Elgin, Forres & Lossiemouth, Burghead & Findhorn Second Series: compiled 2002: A (12/02); A1 (9/07), ℘9/07 ◊ (9/15). Sheet 424 Buckie & Keith, Dufftown & Charlestown of Aberlour Second Series: compiled 2002: A (9/02); A1 (9/07); 9/15 (9/15). Sheet 425 Huntly & Cullen, Portsoy & Aberchirder Second Series: compiled 2002: A (10/02); A1 ;(9/07); 9/15 (9/15). Sheet 426 Banff, Macduff & Turriff, Fyvie Second Series: compiled 2002: A (10/02); A1 (9/07); 9/15 (9/15). Sheet 427 Peterhead & Fraserburgh Second Series: compiled 2002: A (8/02); A1 (9/07); 9/15 (9/15). Sheet 428 Kyle of Lochalsh, Plockton & Applecross Second Series: compiled 2002: A (10/02); A1 (9/07); 9/15 (9/15). Sheet 429 Glen Carron & West Monar, Strathcarron & Attadale Forest Second Series: compiled 2002: A (10/02); A1 (9/07); 9/15 (9/15). Sheet 430 Loch Monar, Glen Cannich & Glen Strathfarrar Second Series: compiled 2002: A (12/02); A1 (9/07); 9/15 (9/15). Sheet 431 Glen Urquart & Strathglass, Drumnadrochit & Muir of Ord Second Series: compiled 2002: A (1/03); A1 (9/07); 9/15 (9/15). Sheet 432 Black Isle, Fortrose, Cromarty & Dingwall Second Series: compiled 2002: A (12/02); A1 (8/07); 9/15 (9/15). Sheet 433 Torridon - Beinn Eighe & Laithach, Loch Maree, Kinlochewe & Gairloch Second Series: compiled 2001: A (3/02); A1 (9/07); 9/15 (9/15). Sheet 434 Gairloch & Loch Ewe, Kinlochewe & Achnasheen / Achaidh na Sine Second Series: compiled 2002: A (1/03); A/ (8/03); A1 (9/07); 9/15 (9/15). Sheet 435 An Teallach & Slioch Second Series: compiled 2002: A (1/03); A1 (9/07); 9/15 (9/15). Sheet 436 Beinn Dearg & Loch Fannich, Ullapool Second Series: compiled 2002: A (11/02); A1 (9/07); 9/15 (9/15). Sheet 437 Ben Wyvis & Strathpeffer, Dingwall Second Series: compiled 2002: A (1/03); A1 (9/07); 9/15 (9/15). Sheet 438 Dornoch & Tain, Alness & Invergordon Second Series: compiled 2002: A (1/03)); A1 (9/07); 9/15 (9/15). Active edition: A(11/06); A1 (9/07); 9/15 (9/15). Sheet 439 Coigach & Summer Isles, Inverpolly Second Series: compiled 2002: A (1/03); A/ (9/03); A1 (9/07); 9/15 (9/15). Sheet 440 Glen Gassley & Glen Oykel Second Series: compiled 2002: A (1/03); A1 (9/07); 9/15 (9/15). Sheet 441 Lairg, Bonar Bridge & Golspie, Dornoch & Brora Second Series: compiled 2002: A (1/03); A1 (9/07); 9/15 (9/15). Sheet 442 Assynt & Lochniver, Kylesku & Inchnadamph Second Series: compiled 2002: A (1/03); A/ (1/03); A1 (12/07); 9/15 (9/15). Active edition: A/ (3/06); A1 (12/07); 9/15 (9/15). Sheet 443 Ben Kilbreck & Ben Armine Second Series: compiled 2002: A (11/02); A/ (11/02); A1 (12/07); 9/15 (9/15). Active edition: A/ (11/06); A1 (12/07); 9/15 (9/15). Sheet 444 Helmsdale & Strath of Kidonan Second Series: compiled 2002: A (12/02); A1 (12/07); A1/ (8/09); 9/15 (9/15). Active edition: A (11/06); A1 (12/07); 9/15 (9/15). Sheet 445 Foinaven, Arkle, Kylesku & Scourie Second Series: compiled 2002: A (1/03); A1 (12/07); 9/15 (9/15). Sheet 446 Durness & Cape Wrath, Kinlochbervie & Rhiconich Second Series: compiled 2002: A (1/03); A/ (8/03); A1 (12/07); 9/15 (9/15). Sheet 447 Ben Hope, Ben Loyal & Kyle of Tongue Second Series: compiled 2002: A (1/03); A1 (12/07); 9/15 (9/15). Sheet 448 Strath Naver / Srath Nabhair & Loch Loyal Second Series: compiled 2002: A (1/03); A1 (12/07); 9/15 (9/15). Sheet 449 Strath Halladale & Strathy Point, Melvich & Forsinard Second Series: compiled 2002: A (1/03); A1 (12/07); A2 (2/12); 9/15 (9/15). Active edition: A (11/06); A2 (12/07); 9/15 (9/15). Sheet 450 Wick & The Flow Country, Lybster, Latheron & Dunbeath Second Series: compiled 2002: A (1/03); A/ (8/03); A1 (12/07); 9/15 (9/15). Sheet 451 Thurso & John O'Groats, Second Series: compiled 2002: A (1/03); A1 (12/07); 9/15 (9/15). Eriskay & Mingulay / Eiriosgaigh agus Miùghlaigh Second Series: compiled 2002: A (2/03); A1 (12/07); 9/15 (9/15). Sheet 453 Benbecula & South Uist / Beinn na Faoghla agus Uibhist a Deas, Eriskay / Eiriosgaigh Second Series: compiled 2002: A (2/03); A1 (12/07); 9/15 (9/15). Sheet 454 North Uist & Beneray / Uibhist a Tuath agus Beàrnaraigh Second Series: compiled 2002: A (2/03); A1 (12/07); 9/15 (9/15). Sheet 455 South Harris / Ceann a Deas na Hearadh, Taransay / Tarasaigh Second Series: compiled 2002: A (3/03); A/ (8/03); A1 (11/07); 9/15 (9/15). Sheet 456 North Harris & Loch Seaforth / Ceann a Tuath na Hearadh agus Loch Shiphoirt Second Series: compiled 2002: A (3/03); A1 (12/07); 9/15 (9/15). Sheet 457 South East Lewis / Taobh an Eardheas Leàdhais, Loch Eireasort & Shiant Islands / Loch Èireasort agus Na h-Eileanan Mòra Second Series: compiled 2002: A (3/03); A1 (12/07); 9/15 (9/15). Sheet 458 West Lewis / Taobh Siar Leòdhais, Callanish & Great Bernera / Calanais agus Beàrnaraigh Second Series: compiled 2002: A (3/03); A1 (12/07); A1/ (8/10); 9/15 (9/15). Active edition: A (11/06); A1 (12/07); A1/ (12/10); 9/15 (9/15). Sheet 459 Central Lewis & Stornaway / Meadhan Leàdhais agus Steàrnbhagh, Eye Peninsula & Callanish / An Rubha agus Calanais Second Series: compiled 2002: A (3/03); A1 (12/07); A1/ (8/12); 9/15 (9/15). Active edition: A (11/06); A1 (12/07); A1/ (4/18); 9/15 (9/15). Sheet 460 North Lewis / Ceann a Tuath Leàdhais, St Kilda & Flannan Isles / Hiort agus Na h-Eileanan Flannach Second Series: compiled 2002: A (3/03); A1 (12/07); 9/15 (9/15). Sheet 461 Orkney - East Mainland, South Ronaldsay, Shapinsay & Kirkwall Second Series: compiled 2002: A (3/03); A/ (8/03); A1 (12/07); 9/15 (9/15). Sheet 462 Orkney - Hoy, South Walls & Flotta Second Series: compiled 2002: A (3/03); A1 (11/07); A1/ (7/10); 9/15 (9/15). Sheet 463 Orkney - West Mainland, Stromness & Graemsay Second Series: compiled 2002: A (3/03); A1 (12/07); 9/15 (9/15); 4/18 (6/18). Active edition: A (11/06); A1 (12/07); 9/15 (9/15); 4/18 (6/18). Sheet 464 Orkney - Westray, Papa Westray, Rousay, Egilsay & Wyre Second Series: compiled 2002: A (3/03); A/ [11/06]; A1 (12/07); 9/15 (9/15). Sheet 465 Orkney - Sanday, Eday, North Ronaldsay & Stronsay Second Series: compiled 2002: A (3/03); A1 (12/07); 9/15 (9/15). Sheet 466 Shetland - Mainland South, Lerwick, Sumburgh & Fair Isle Second Series: compiled 2002: A (3/03); A1 (12/07); 9/15 (9/15). Sheet 467 Shetland - Mainland Central, Lerwick, Papa Stour & Foula Second Series: compiled 2002: A (3/03); A1 (12/07); 9/15 (9/15). Sheet 468 Shetland - Mainland North East, Whalsay & Out Skerries Second Series: compiled 2002: A (3/03); A1 (12/07); 9/15 (9/15). Sheet 469 Shetland - Mainland North West, North Roe & Sullom Voe Second Series: compiled 2002: A (3/03); A1 (12/07); 9/15 (9/15). Sheet 470 Shetland - Mainland, Unst, Yell & Fetlar Second Series: compiled 2002: A (3/03); A1 (12/07); 9/15 (9/15).